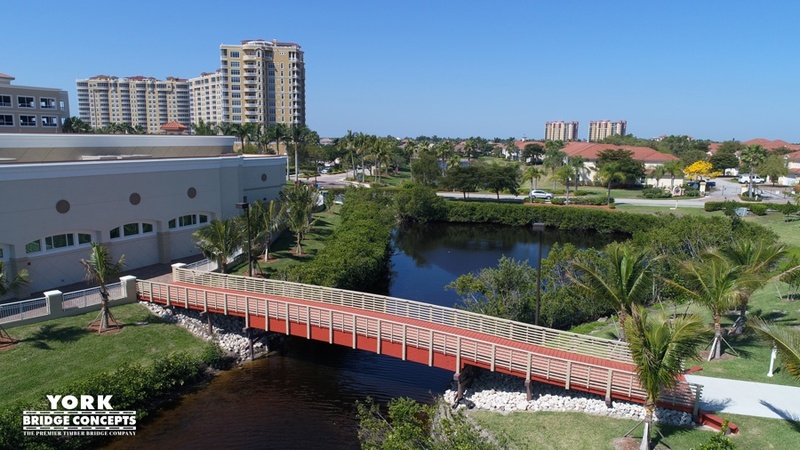 The Westin Cape Coral Resort at Tarpon Point Marina Village in Cape Coral, Florida is known for its tropical serenity with endless views of the Gulf of Mexico. 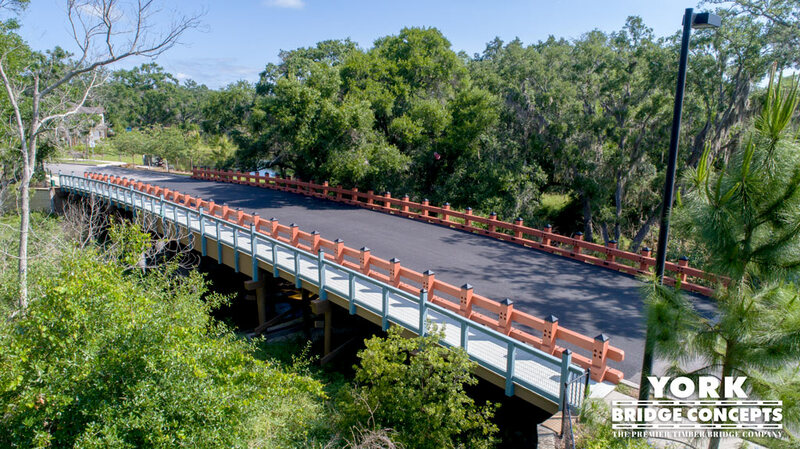 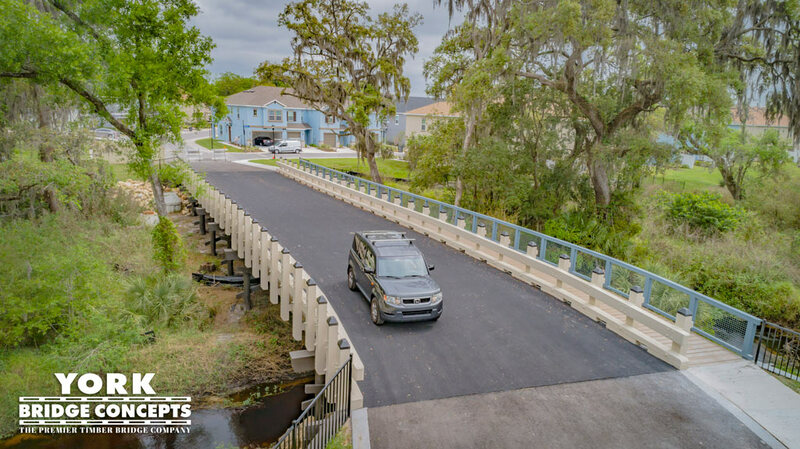 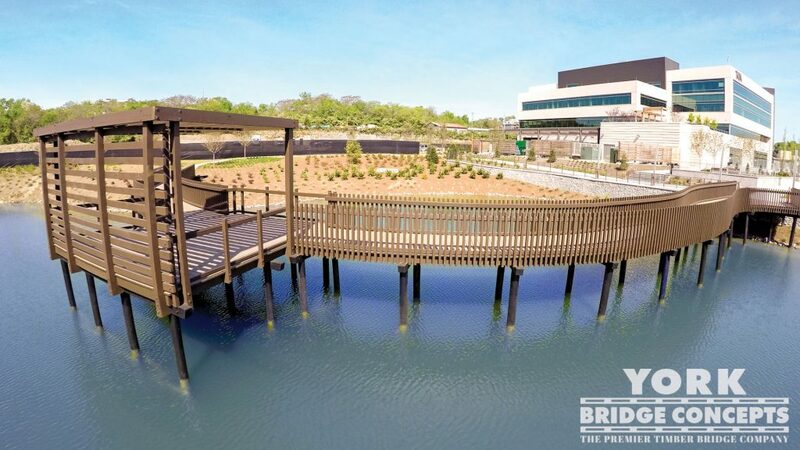 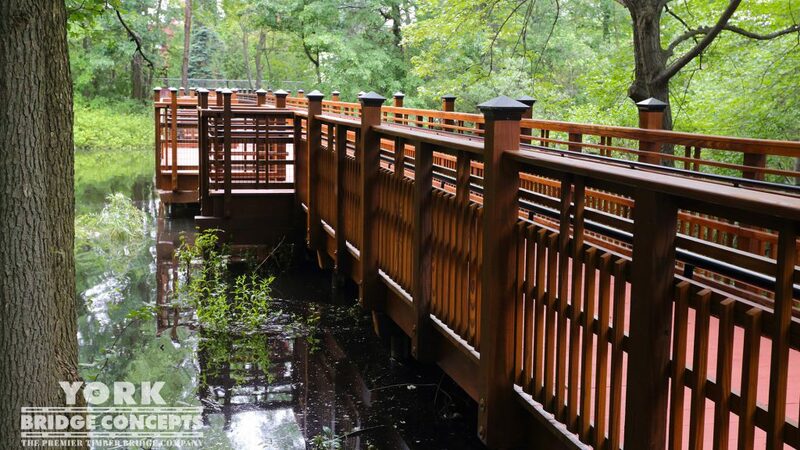 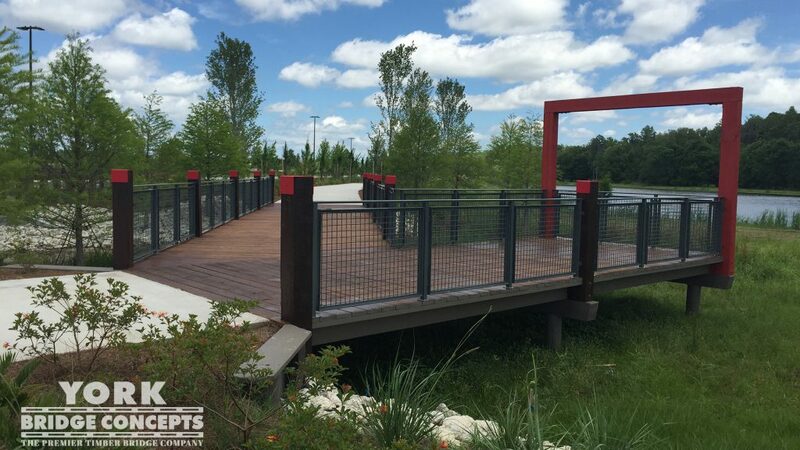 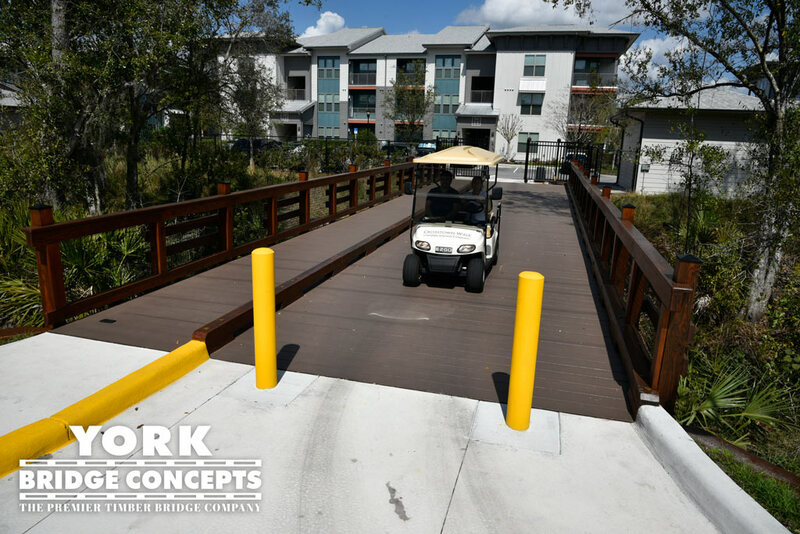 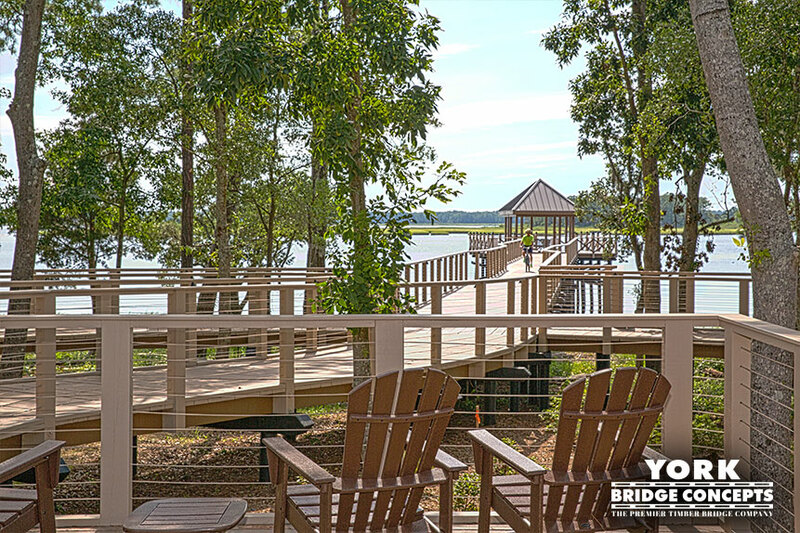 Patrons now enjoy a smooth rolling boardwalk gliding over a mangrove canal as they enter the conference center facilities. 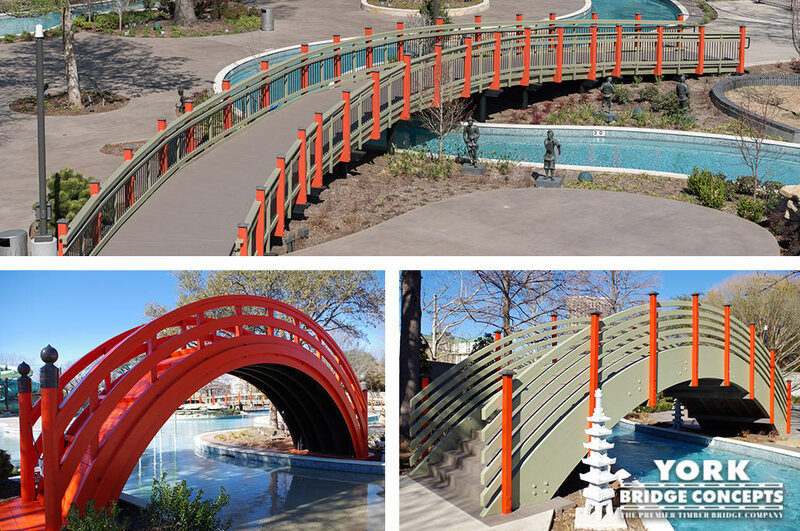 Both entrances artistically that are framed with lush green palm fronds complement the vibrant coral red deck & crisp almond white rails color palette. 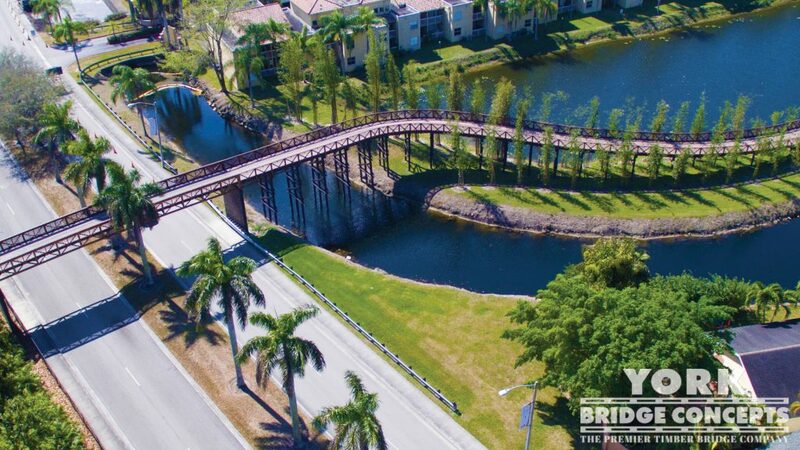 A warm brown substructure dives into the canal’s edges mimicking the mangrove root strength taking hold of the environment. 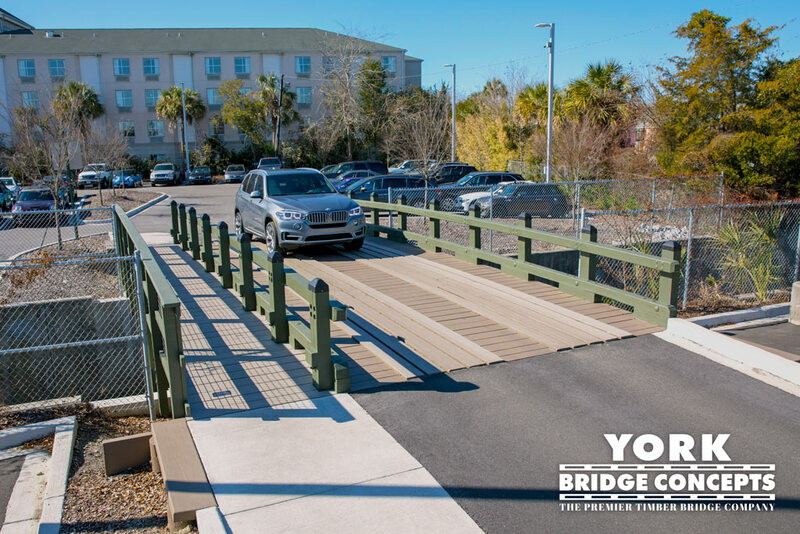 The sleek horizontal rails enhance visitors' experience by guiding them across the bridge, while intriguing onlookers with an architecturally stunning bridge that floats across the canal and coasting into luxury. 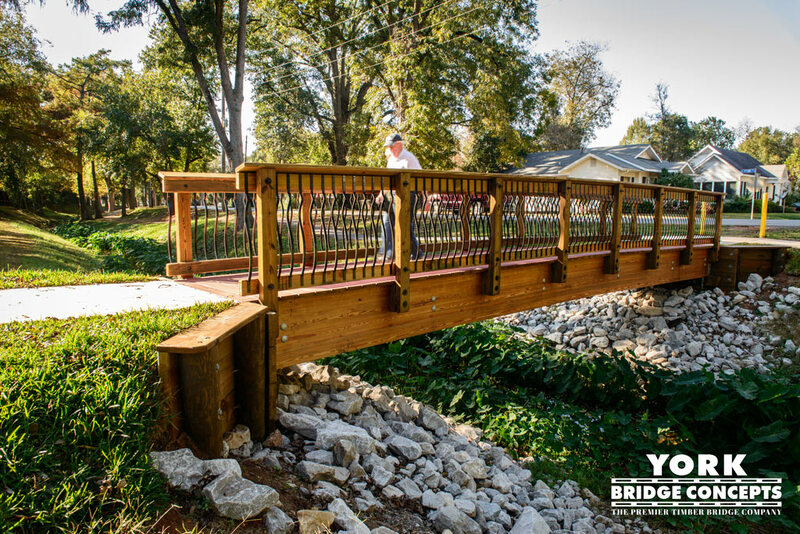 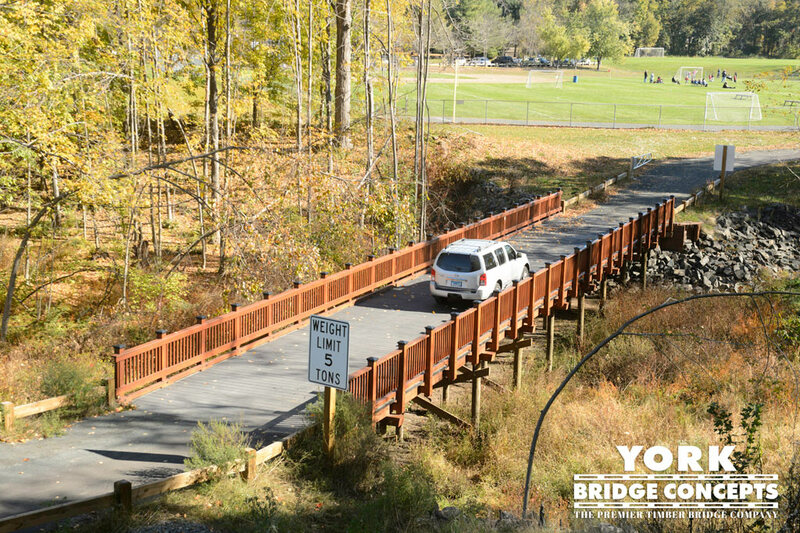 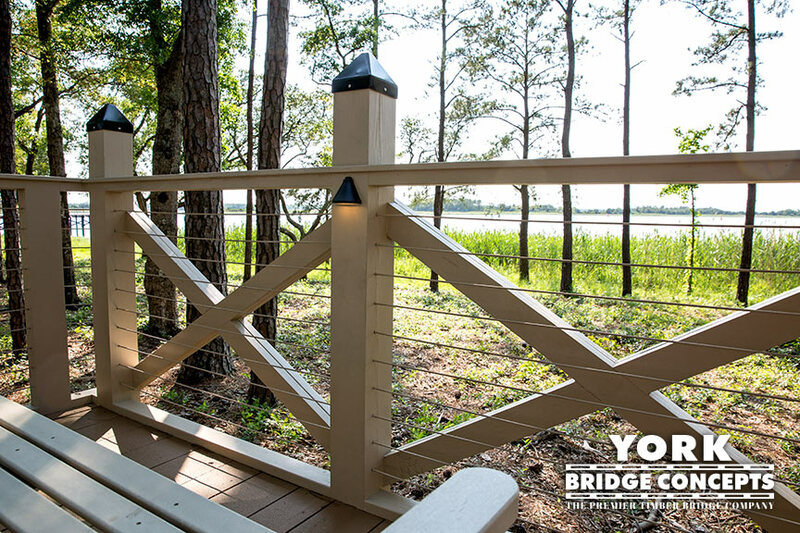 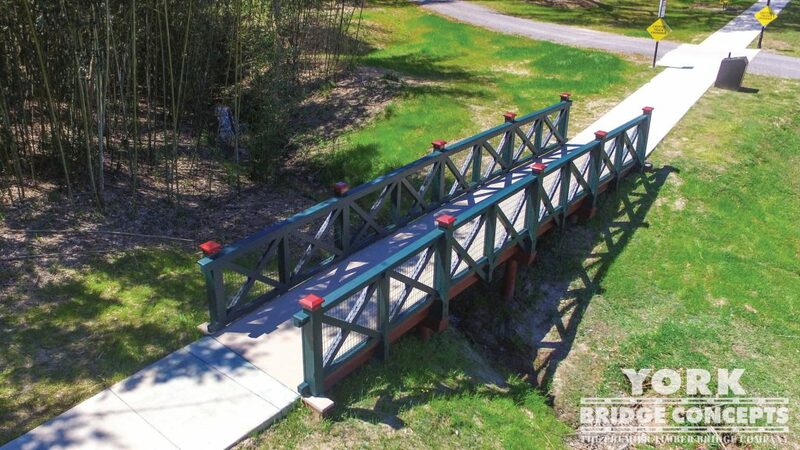 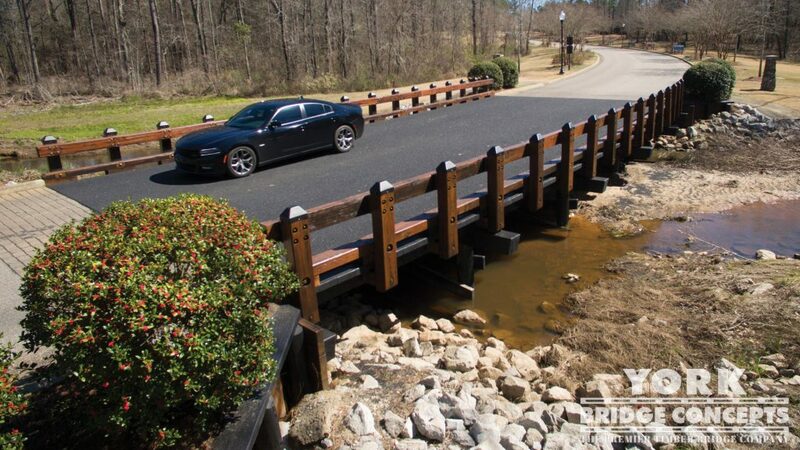 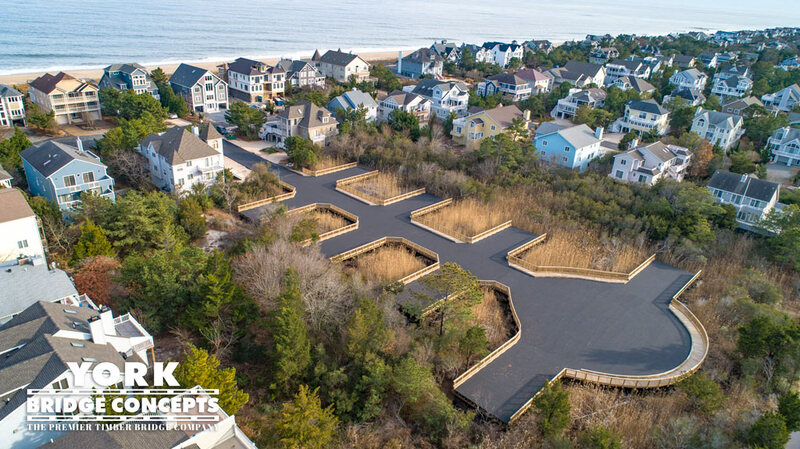 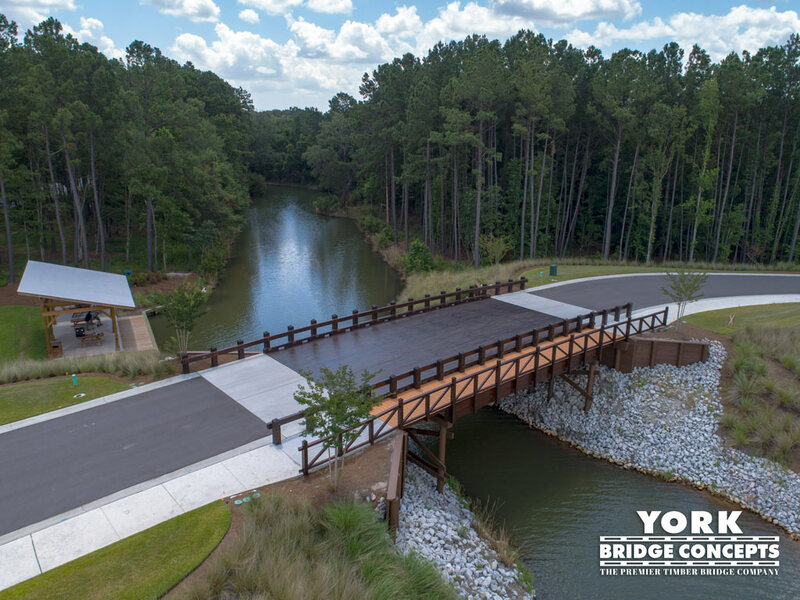 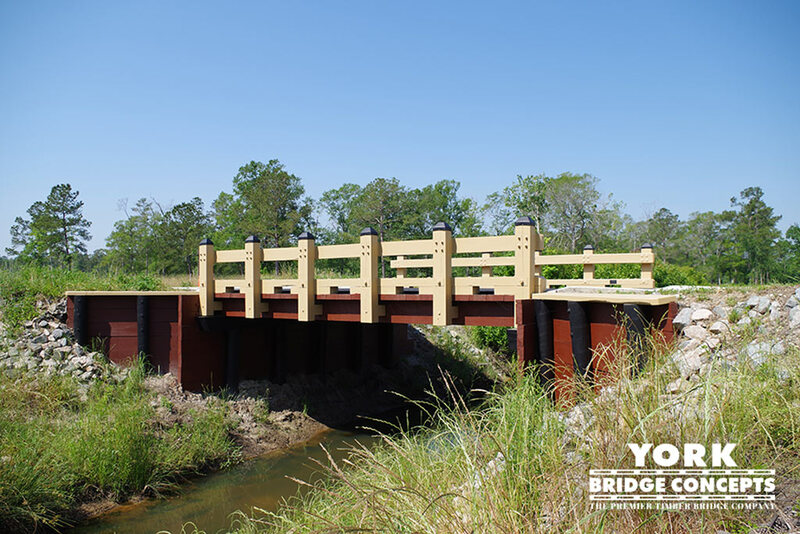 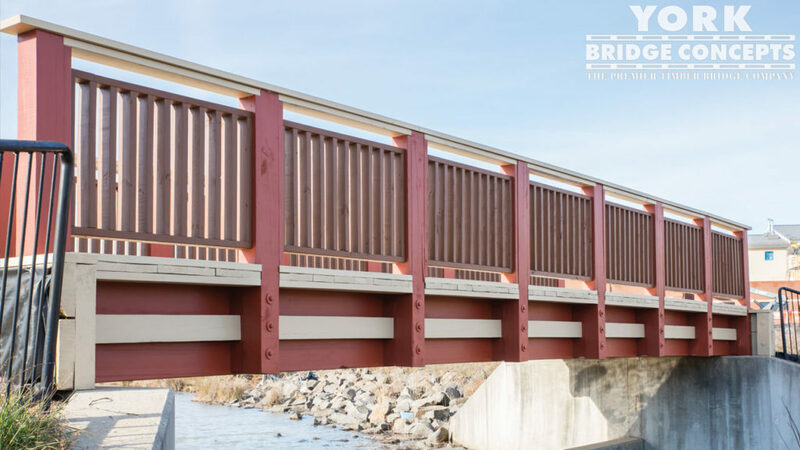 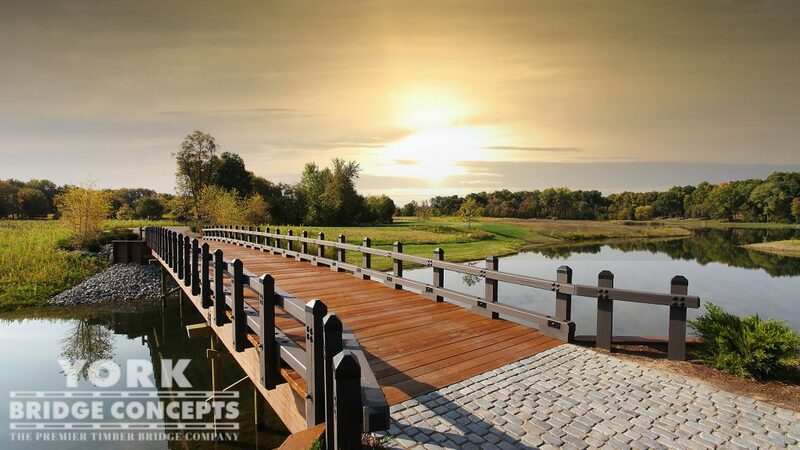 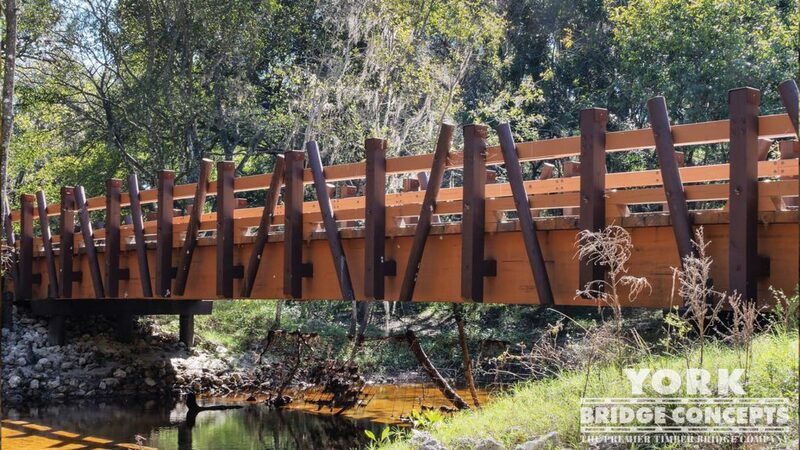 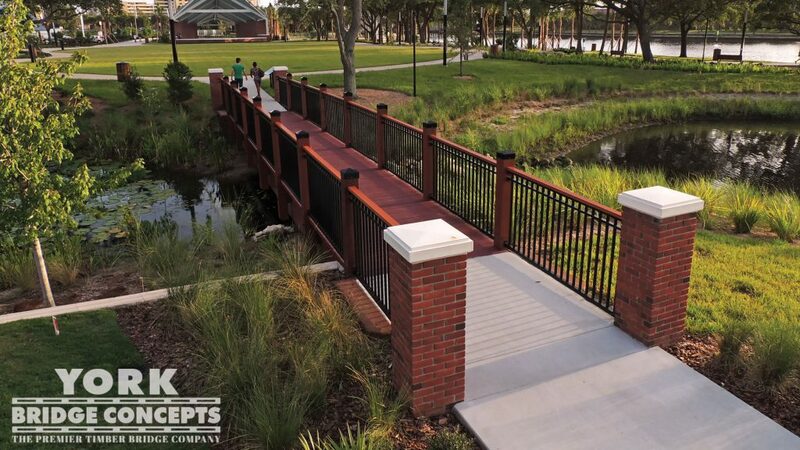 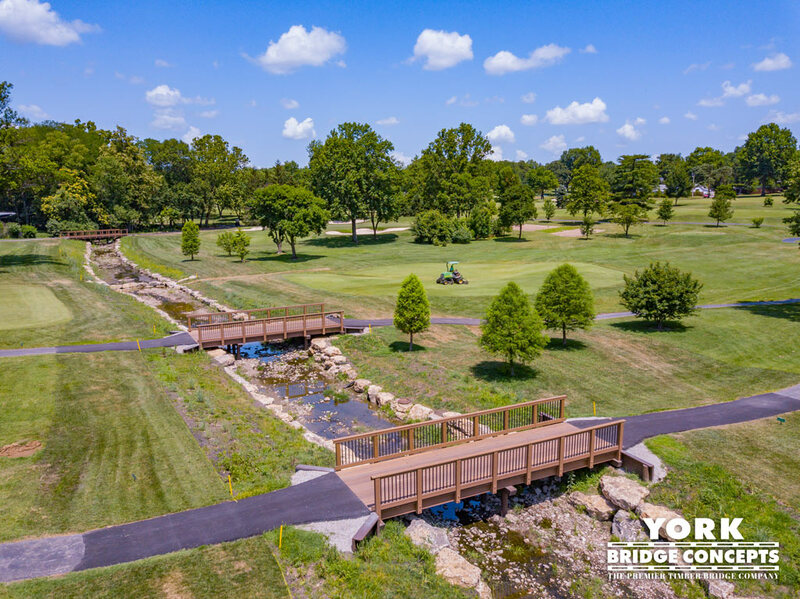 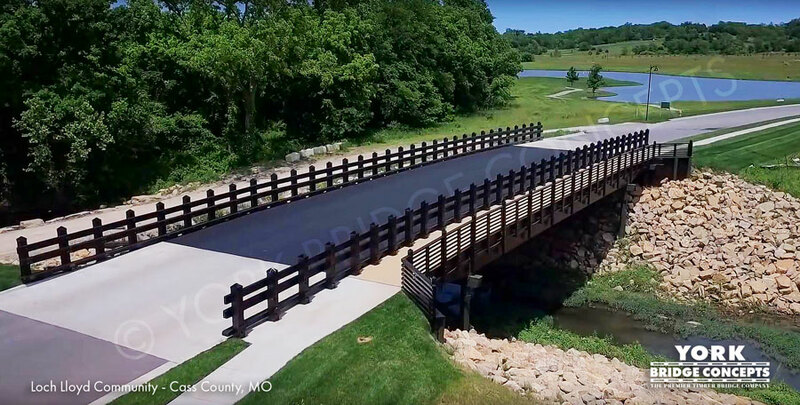 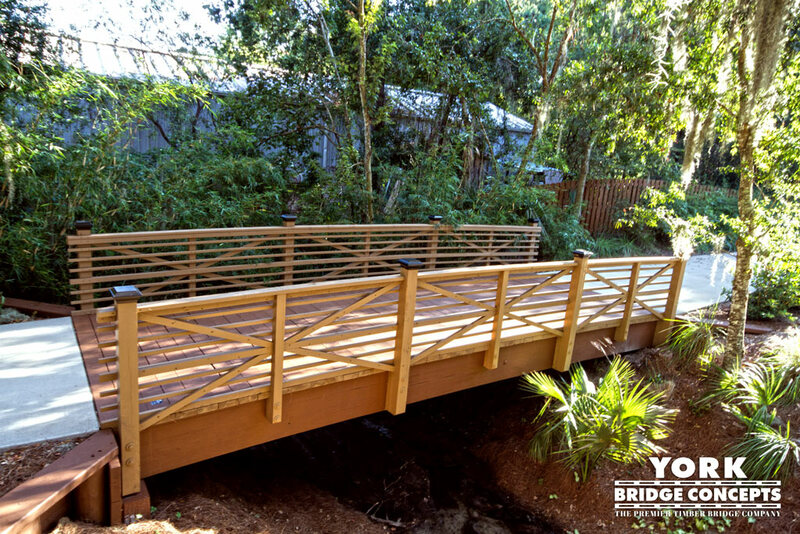 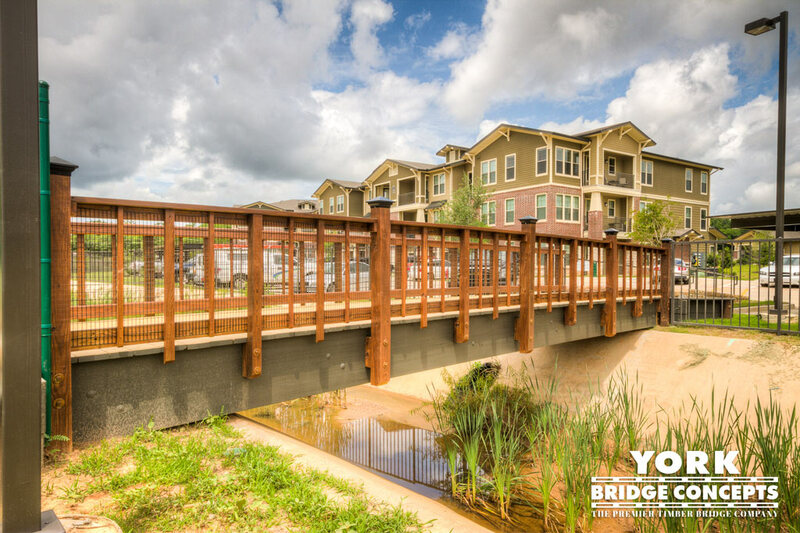 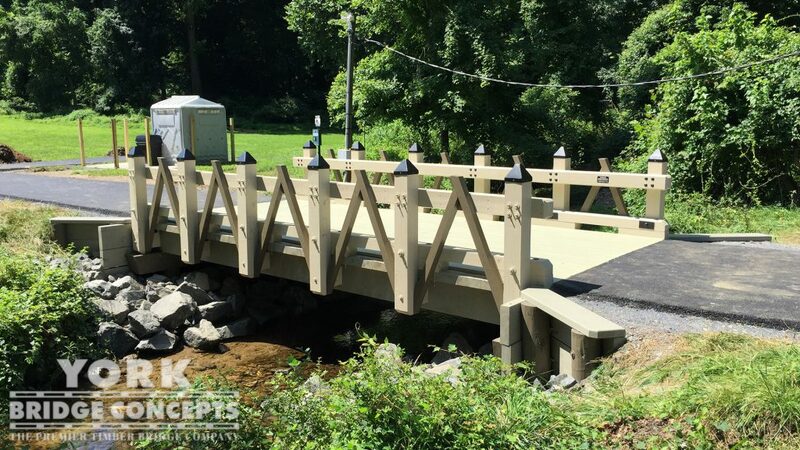 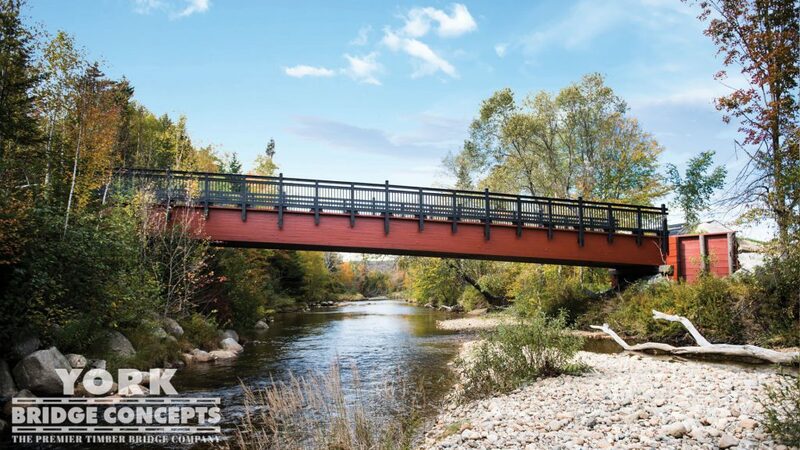 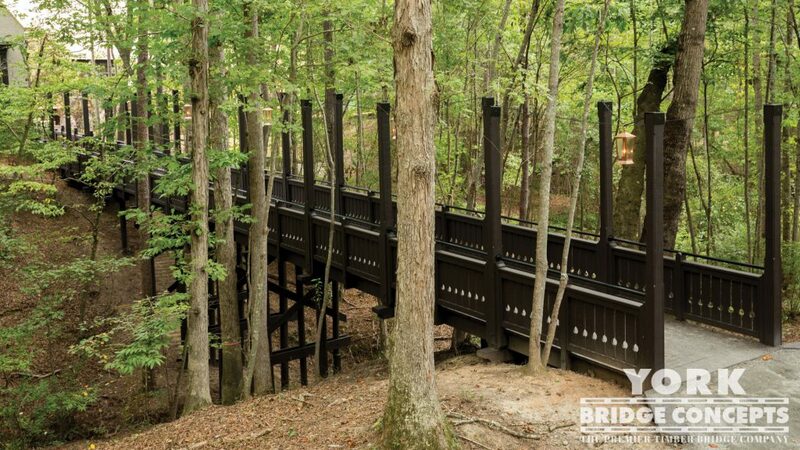 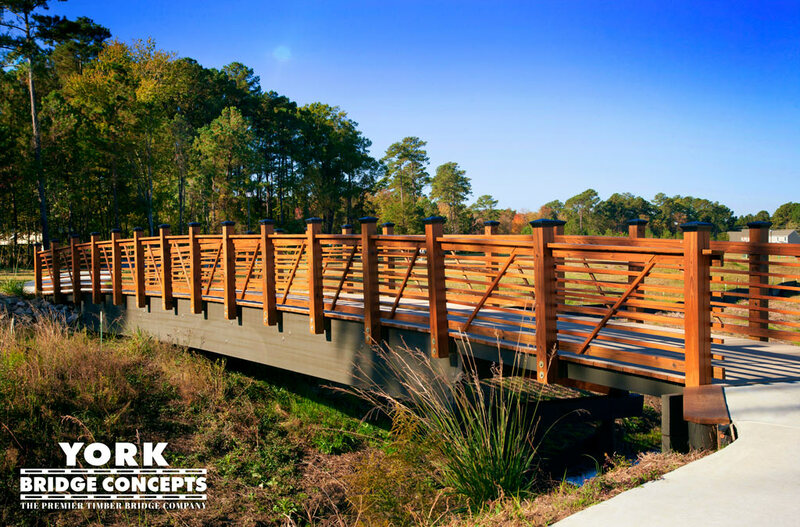 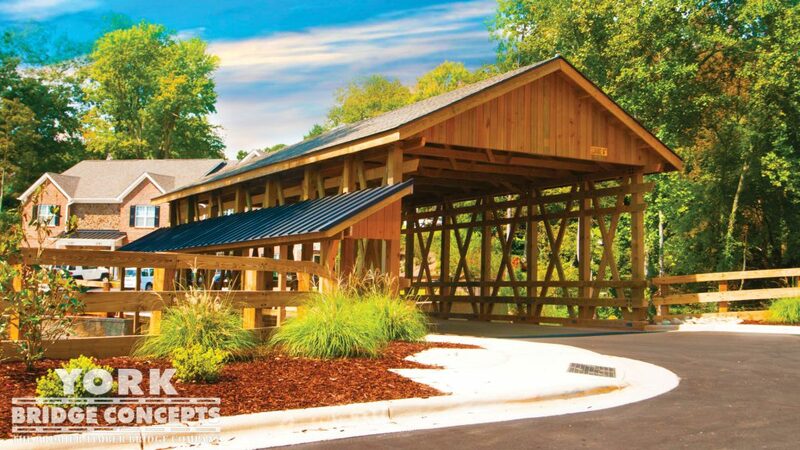 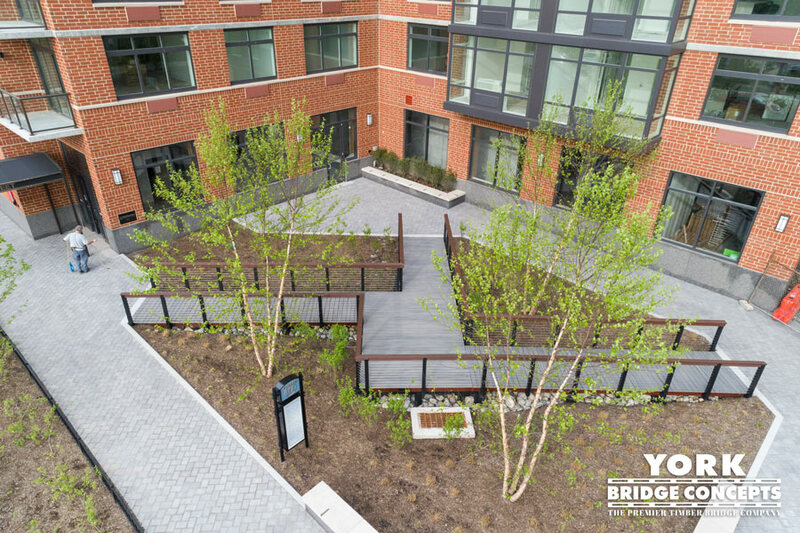 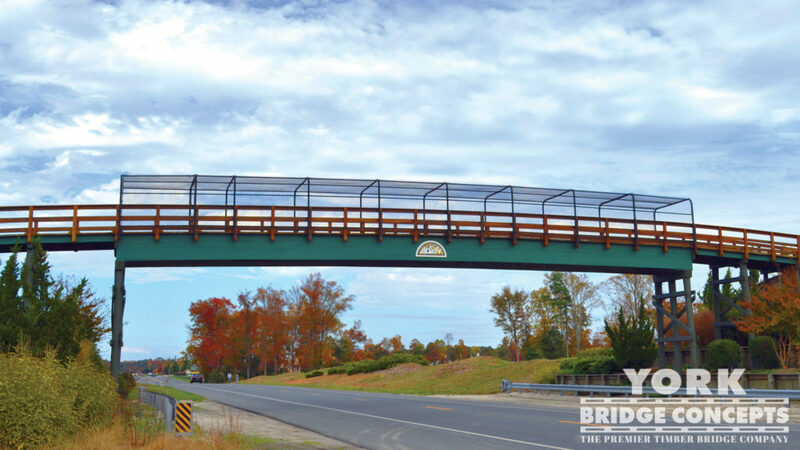 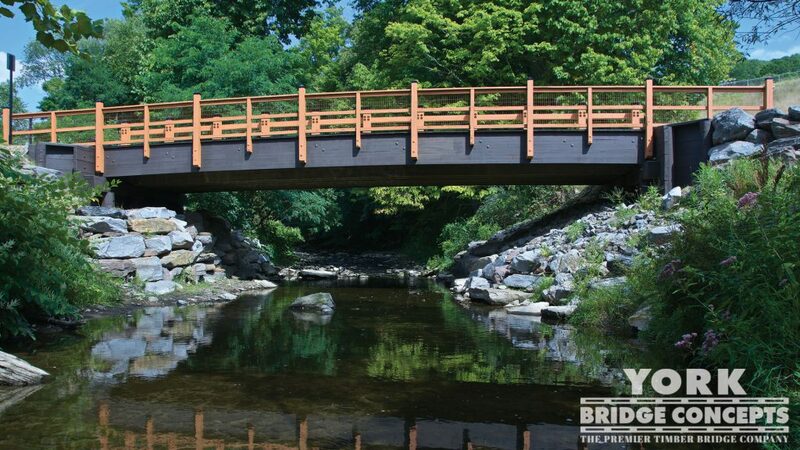 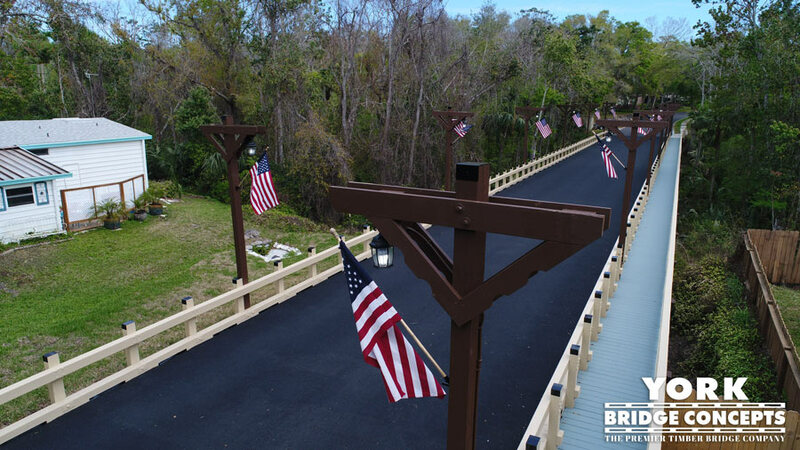 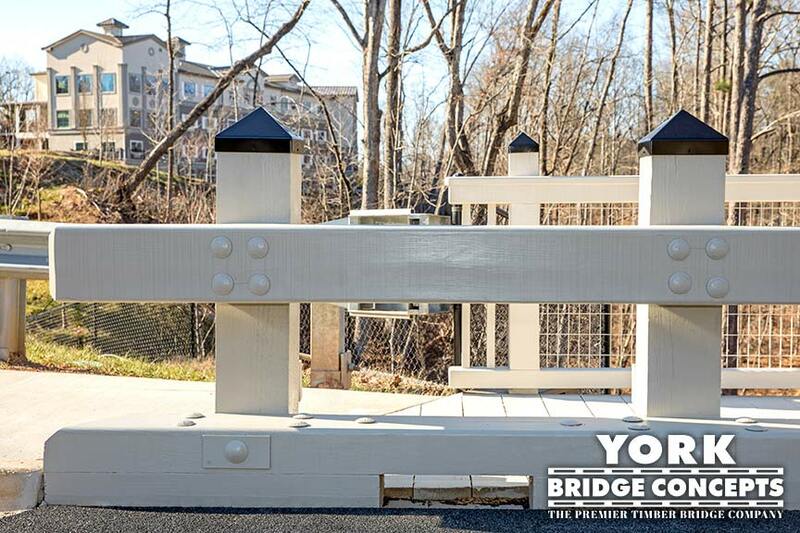 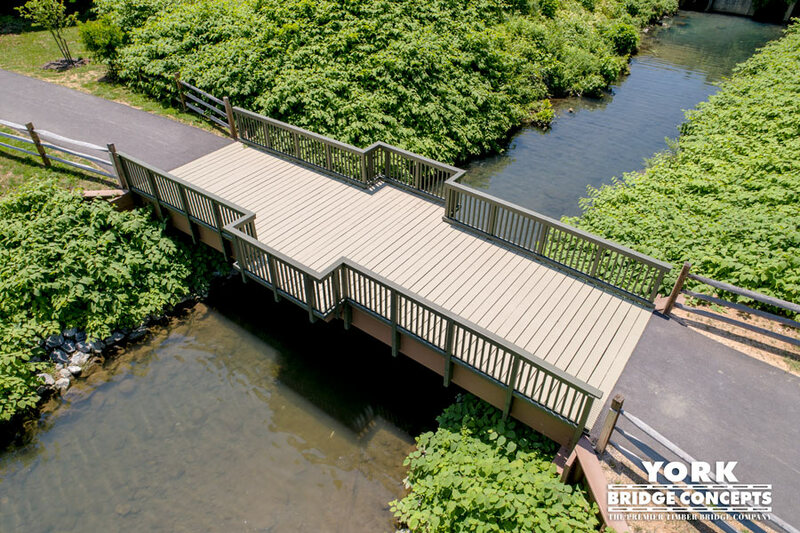 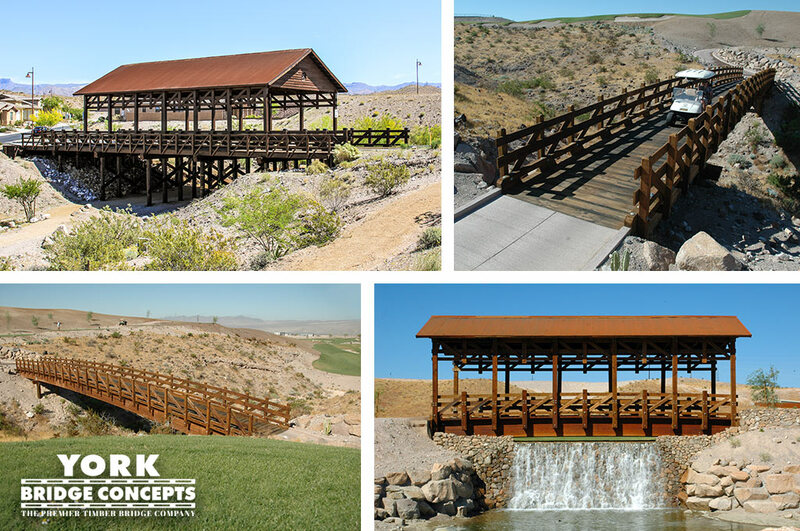 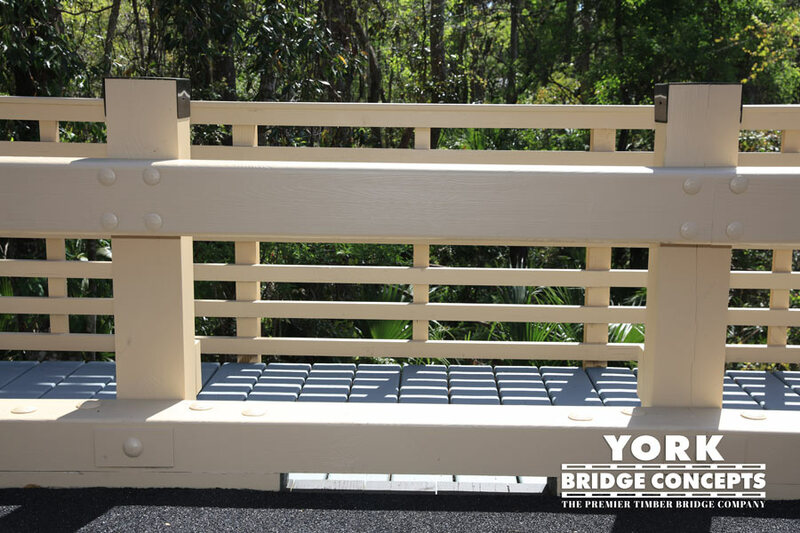 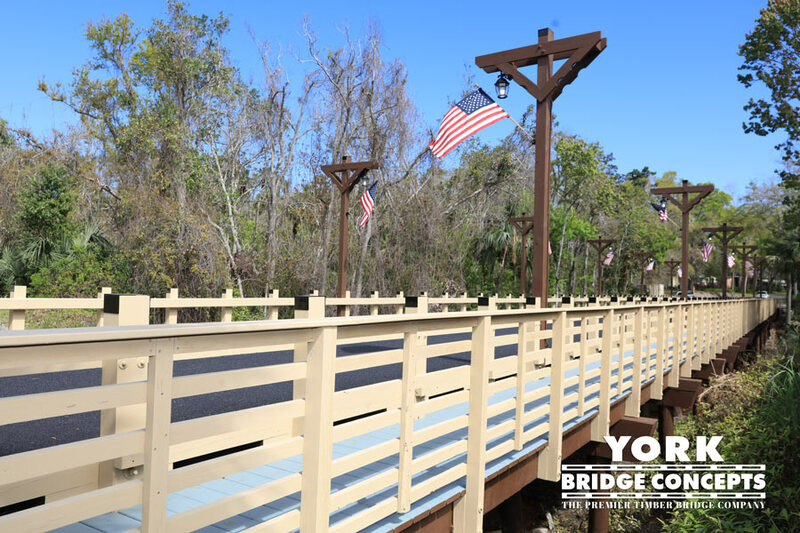 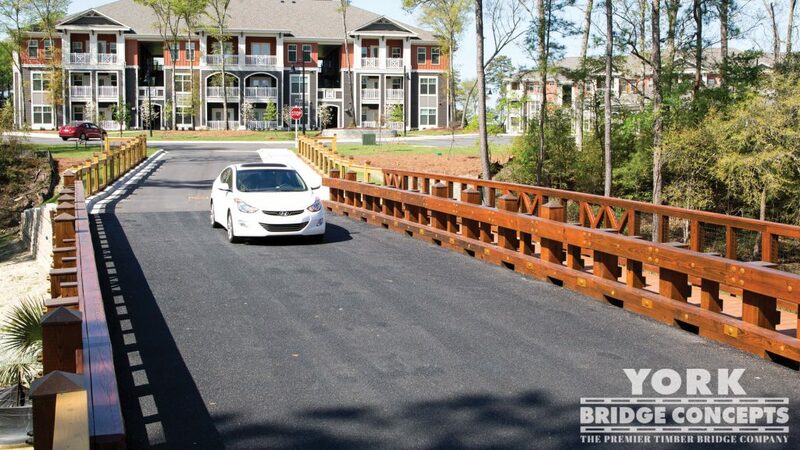 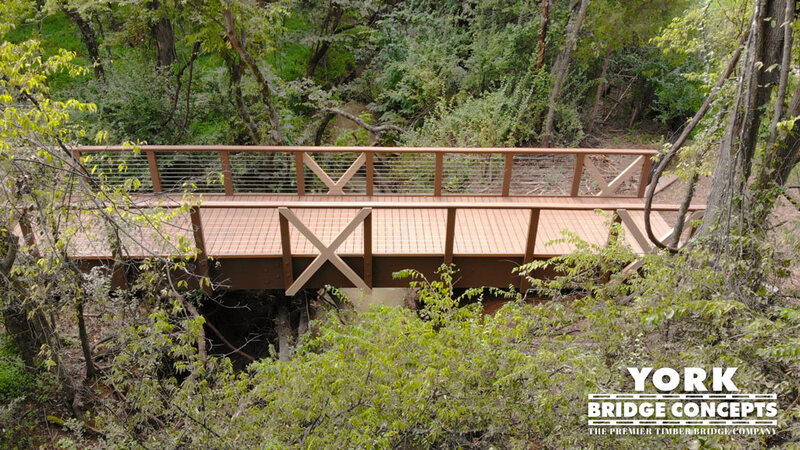 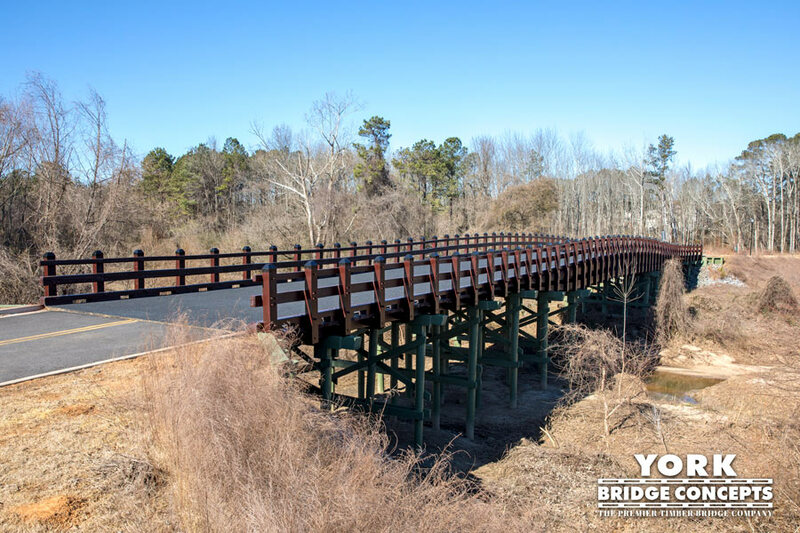 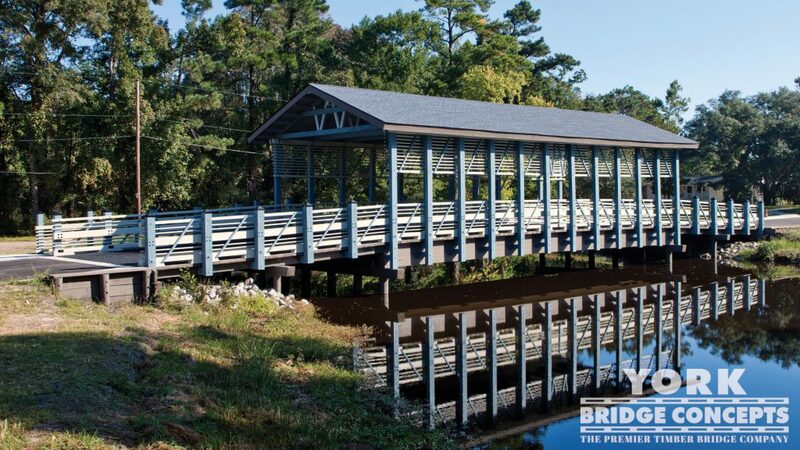 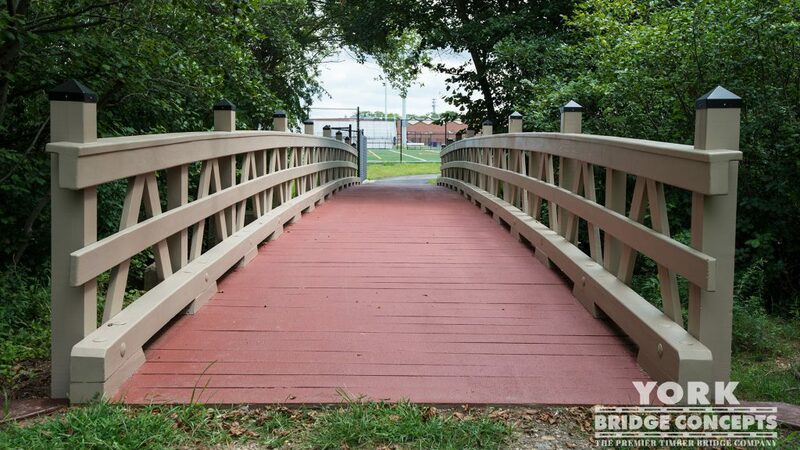 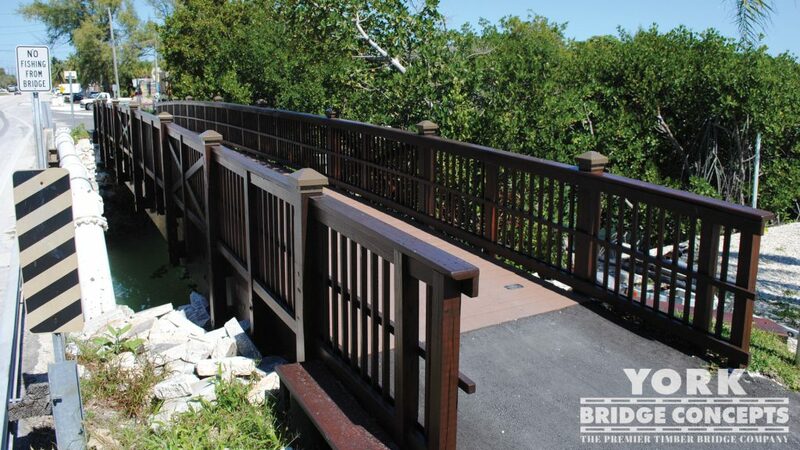 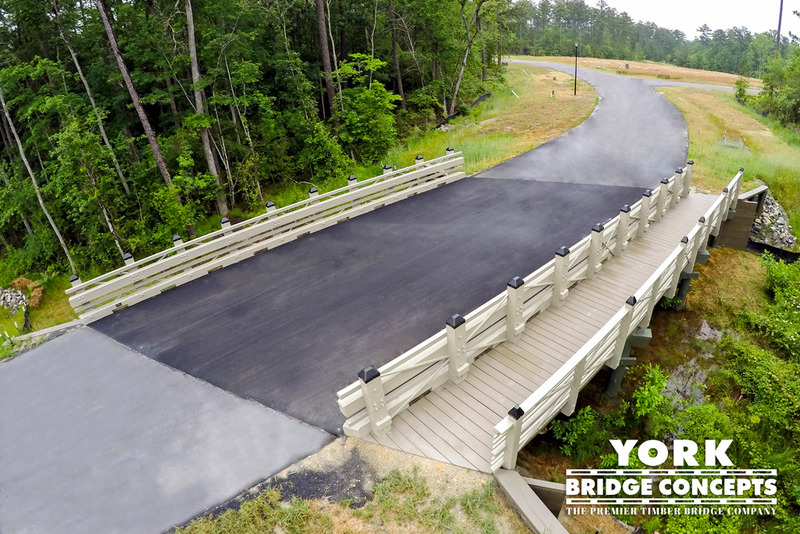 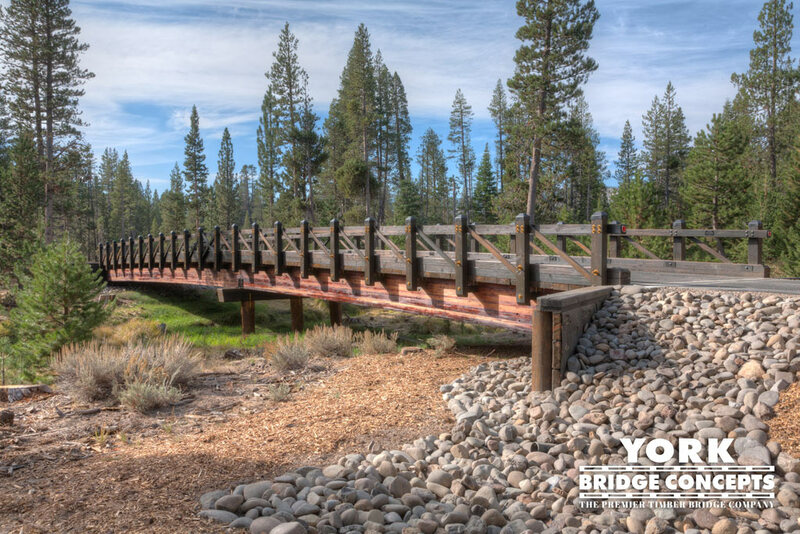 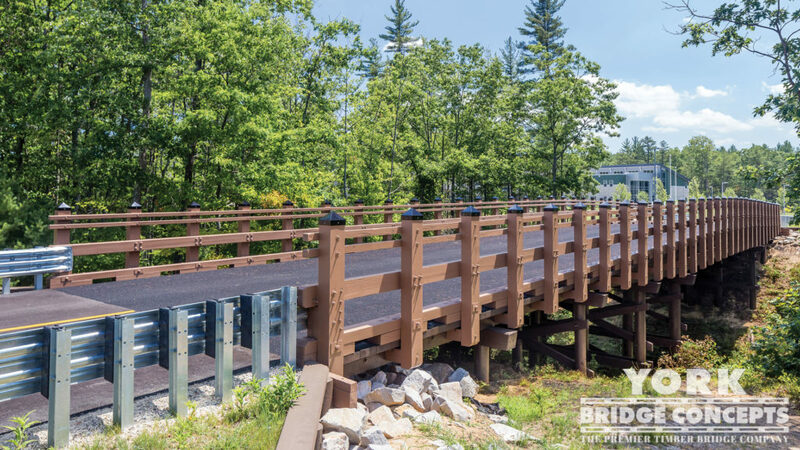 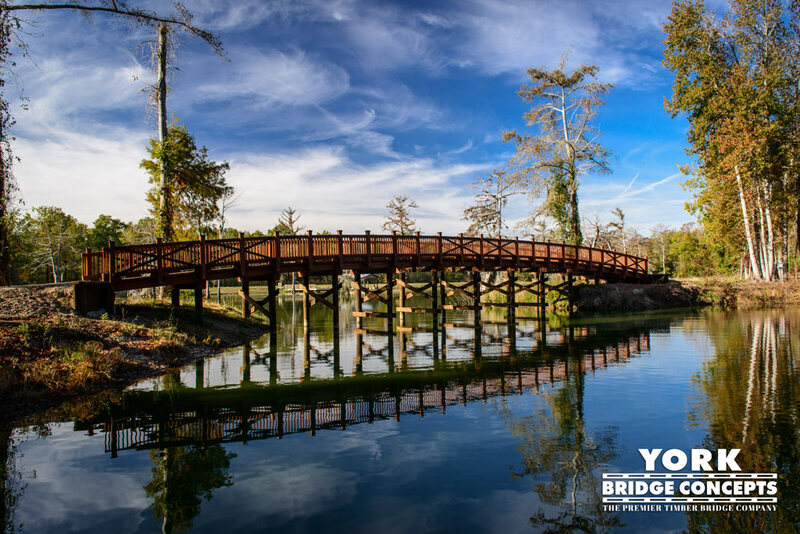 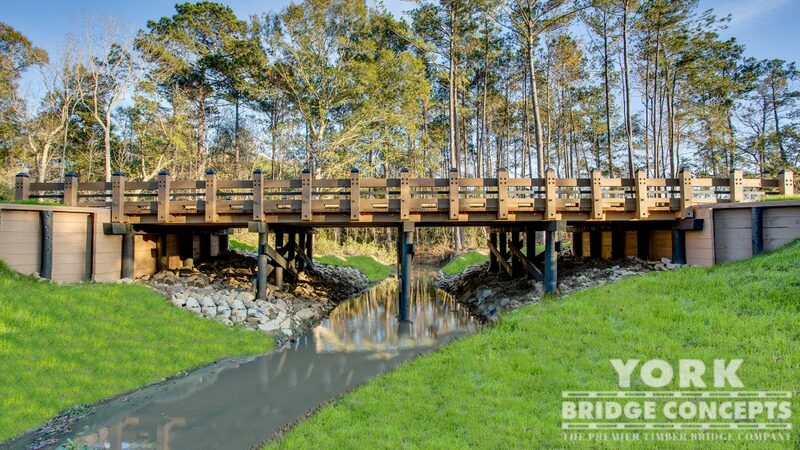 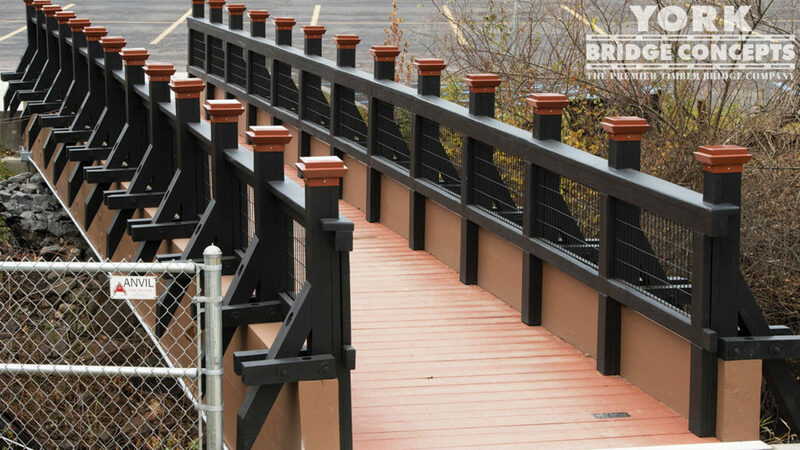 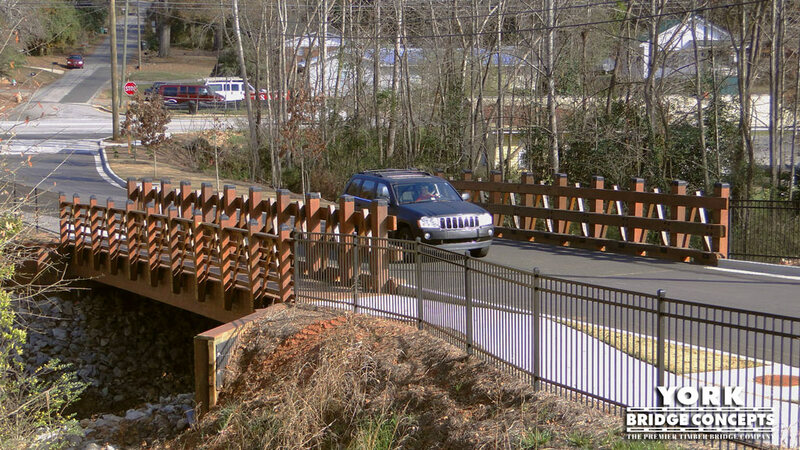 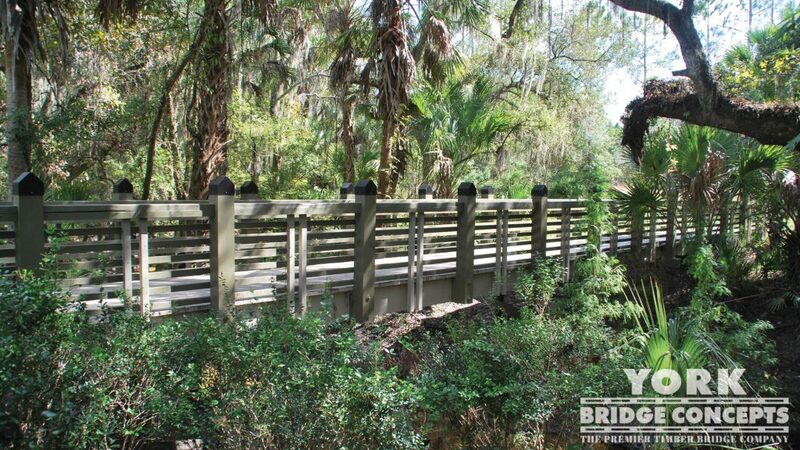 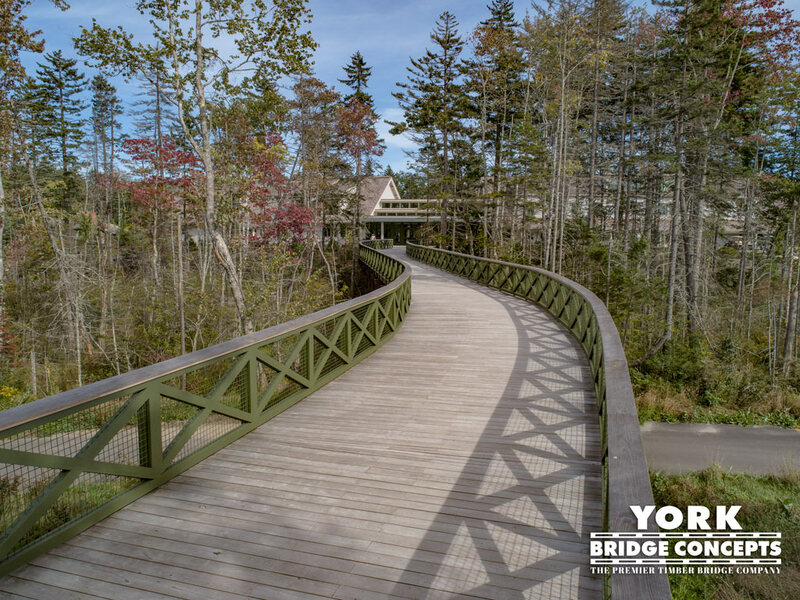 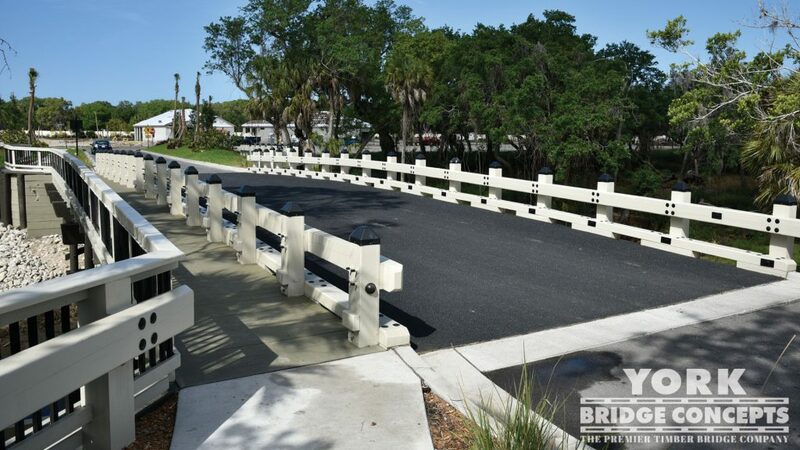 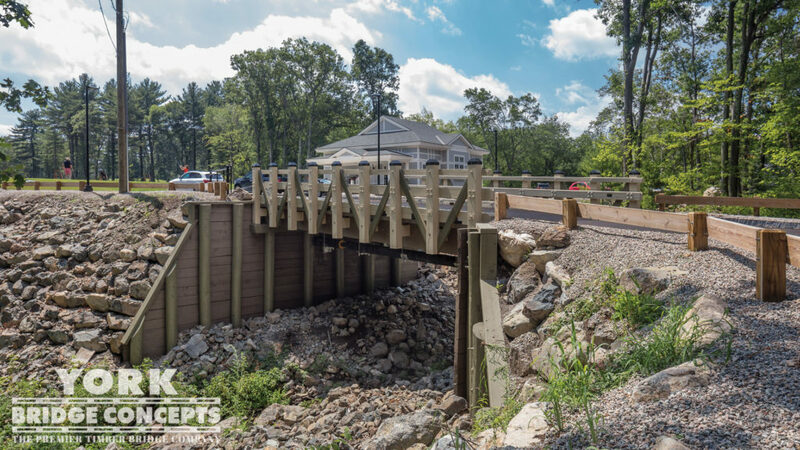 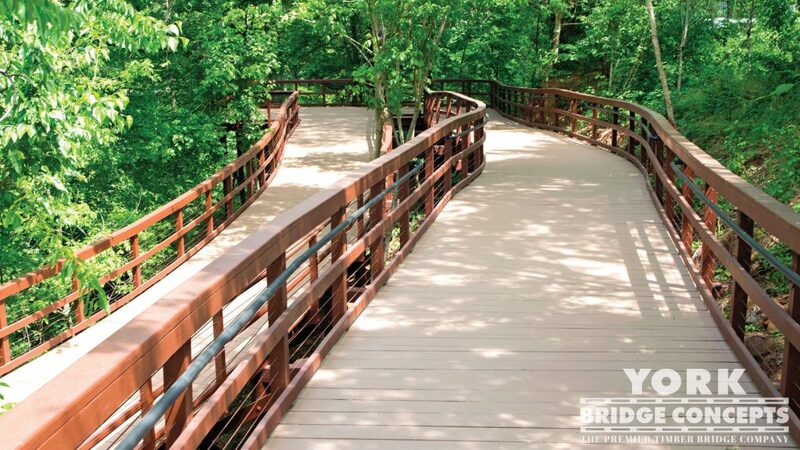 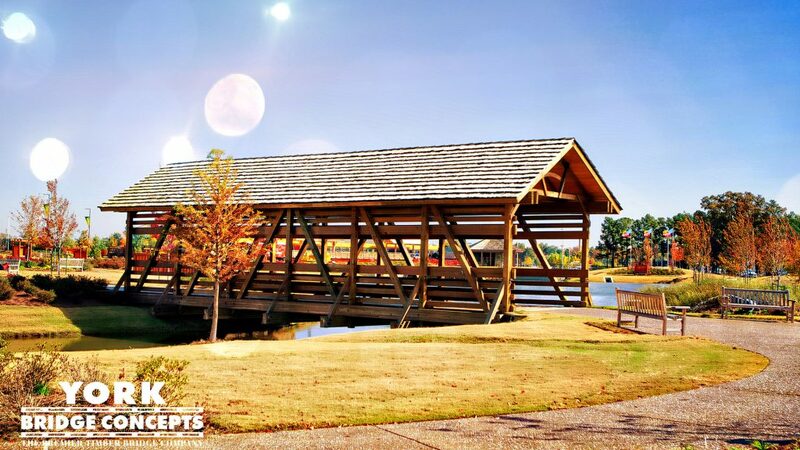 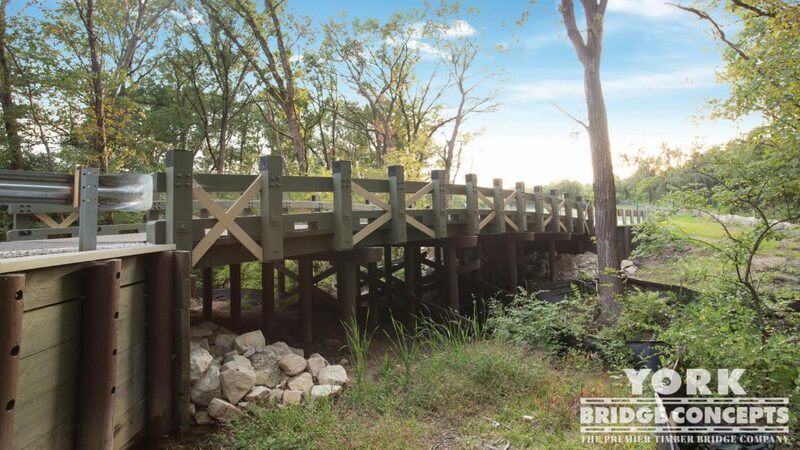 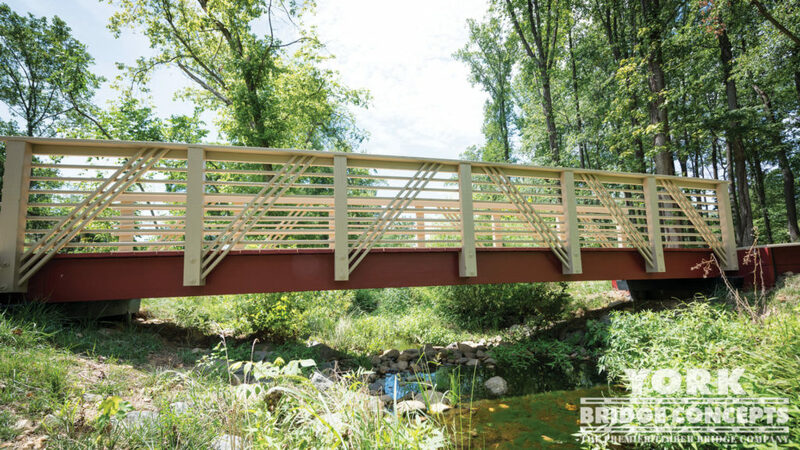 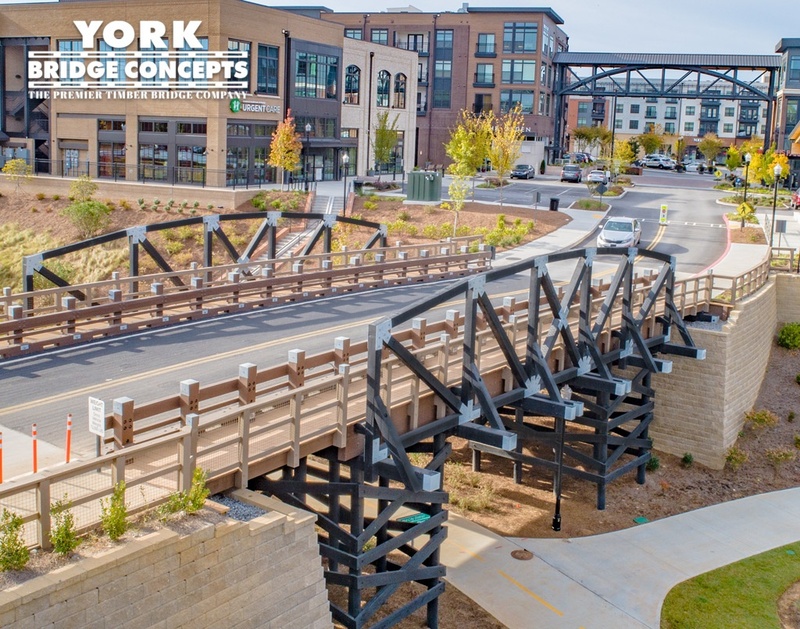 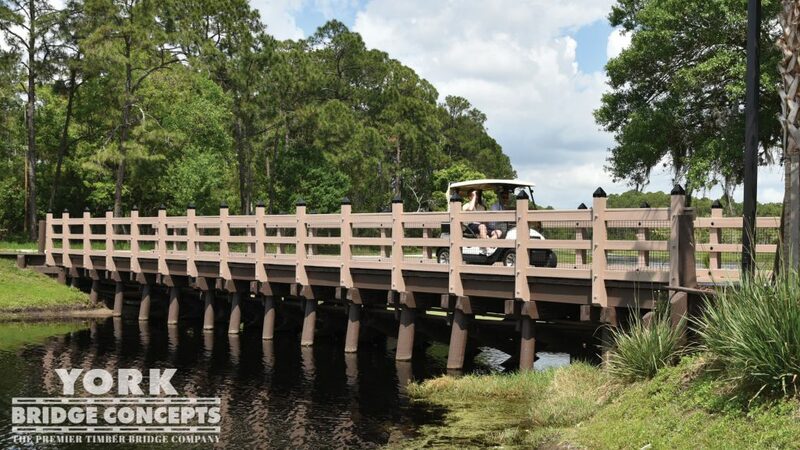 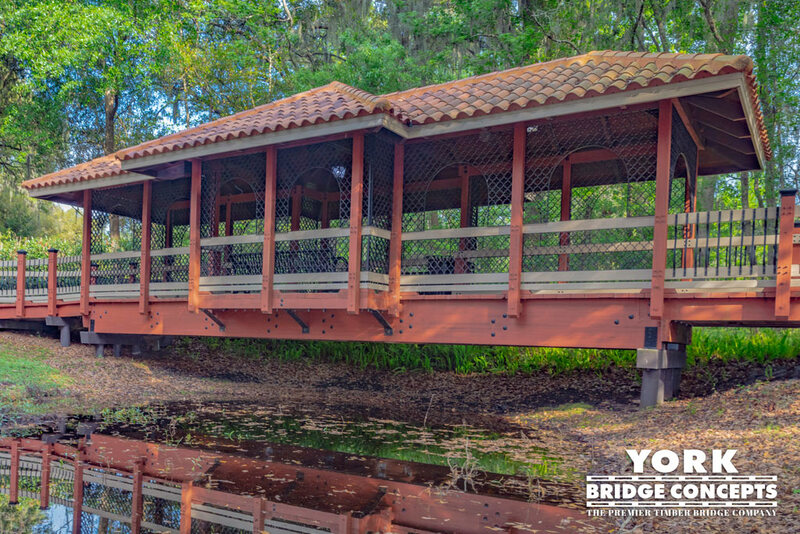 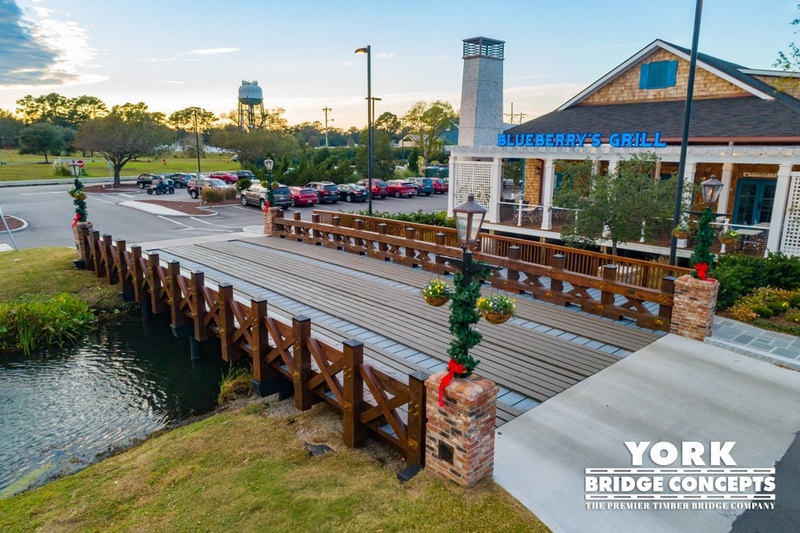 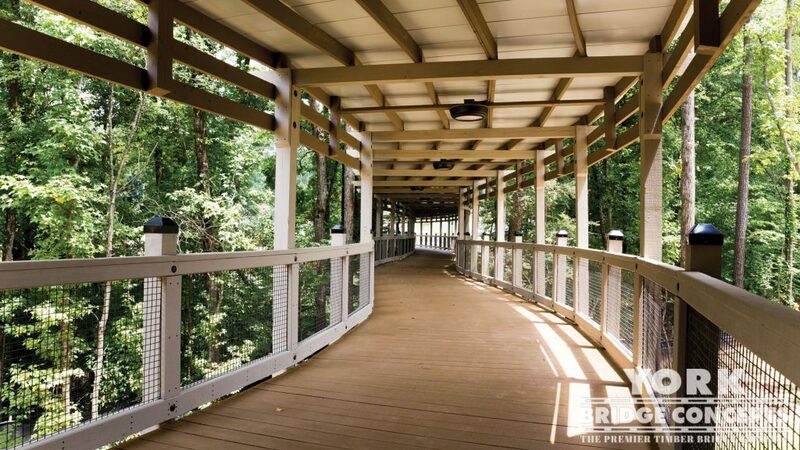 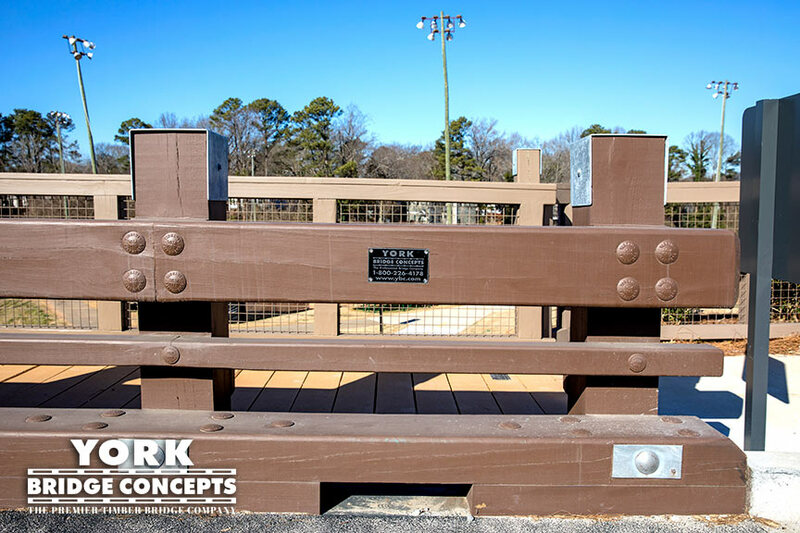 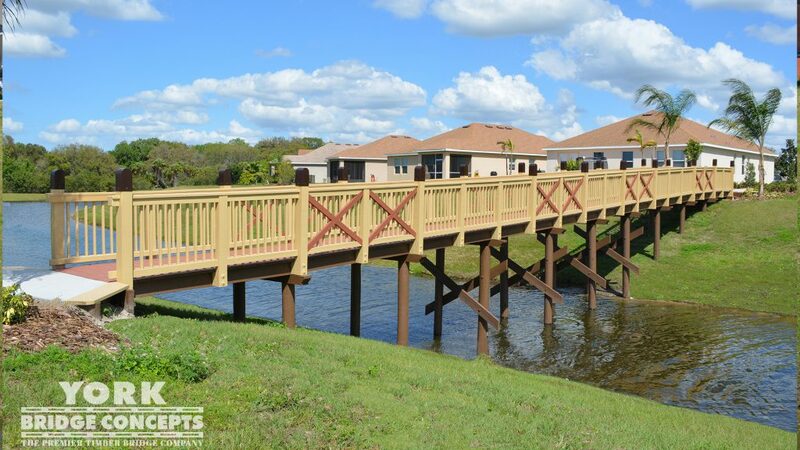 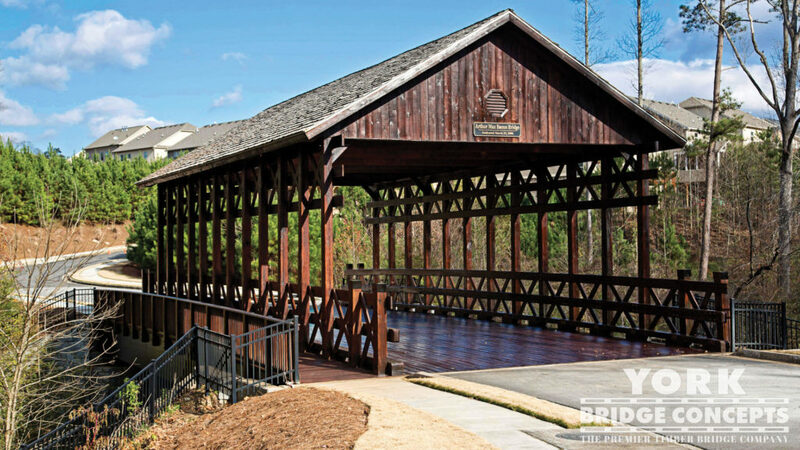 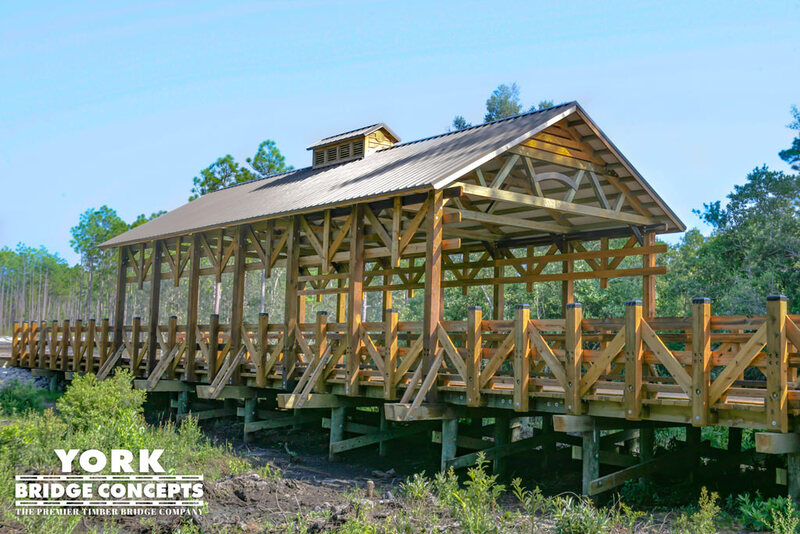 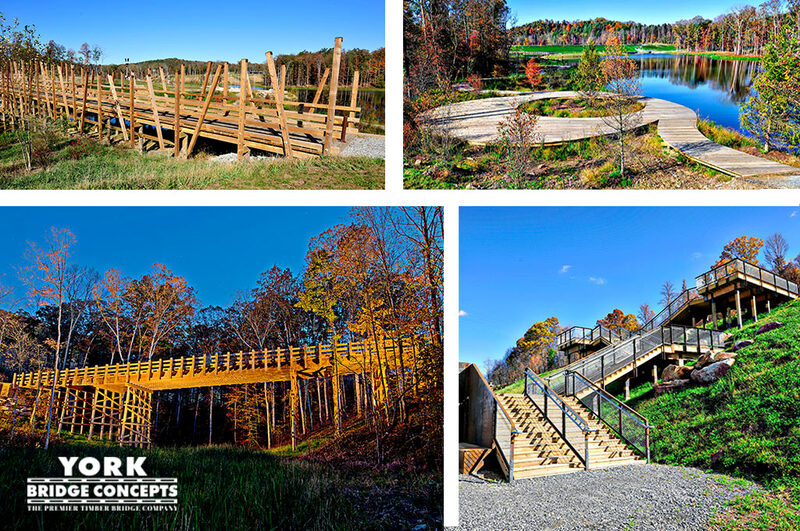 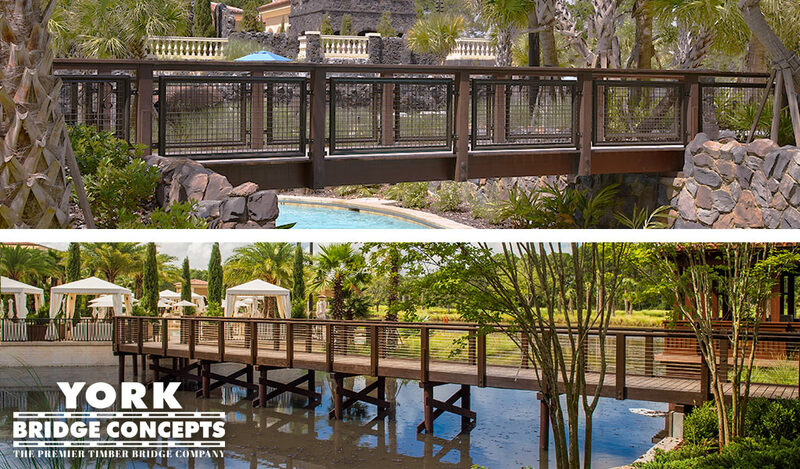 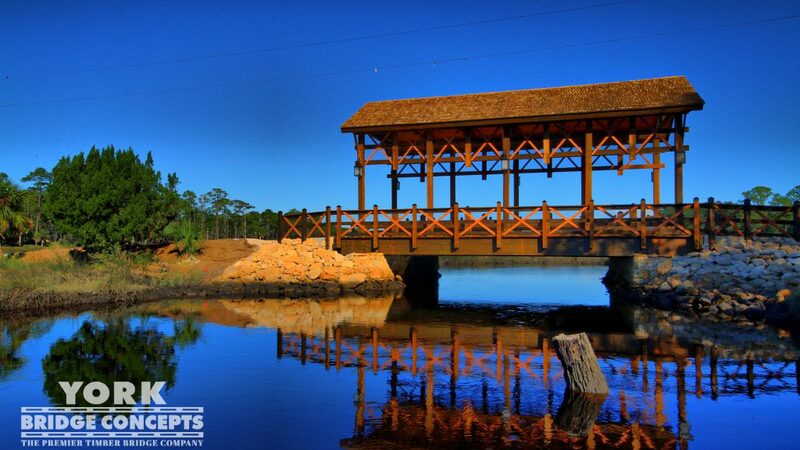 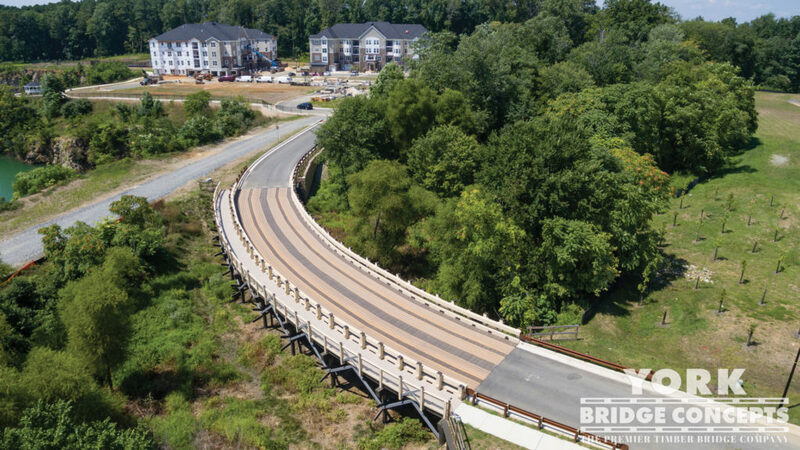 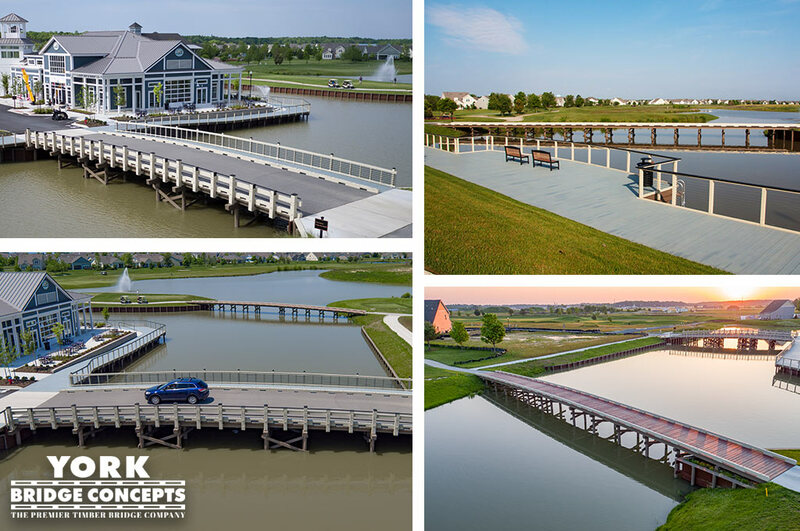 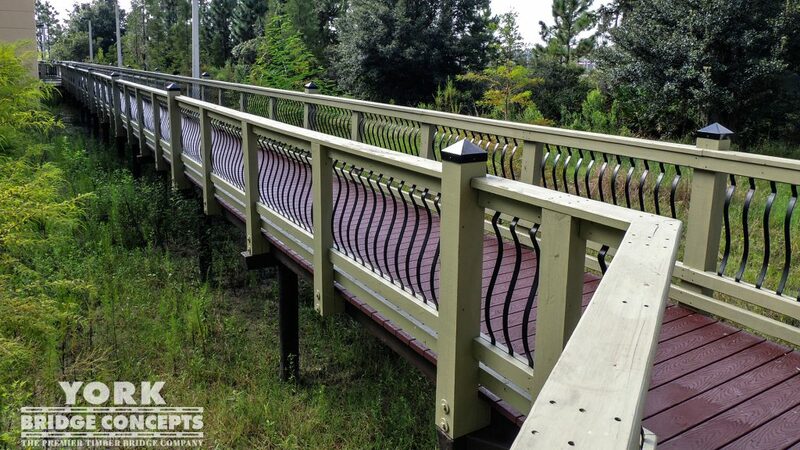 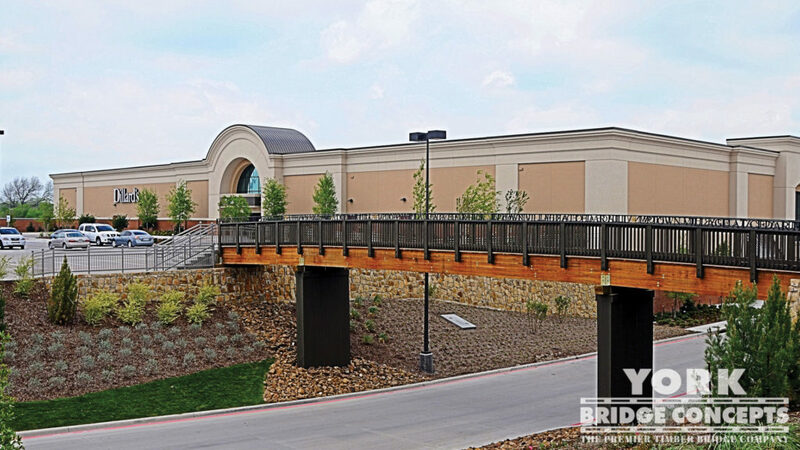 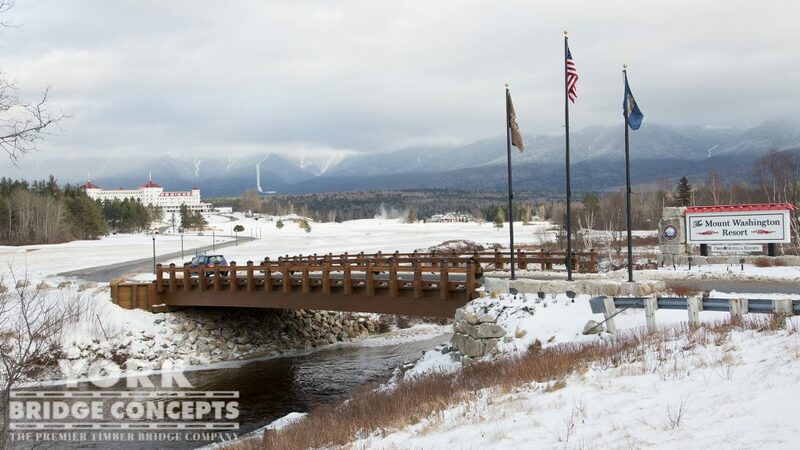 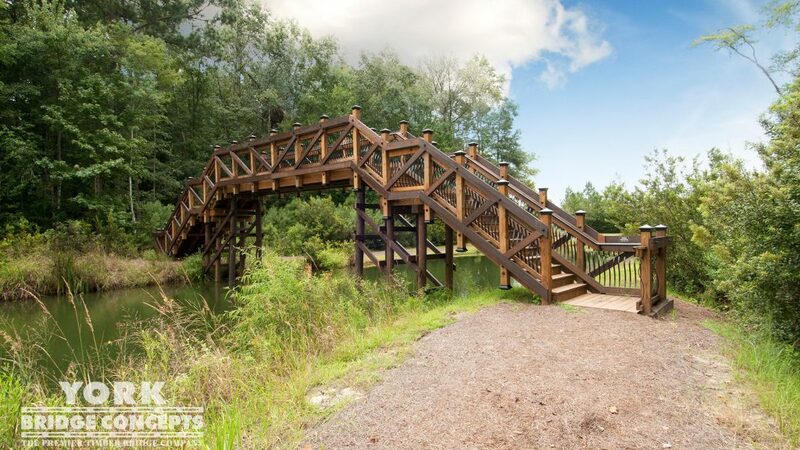 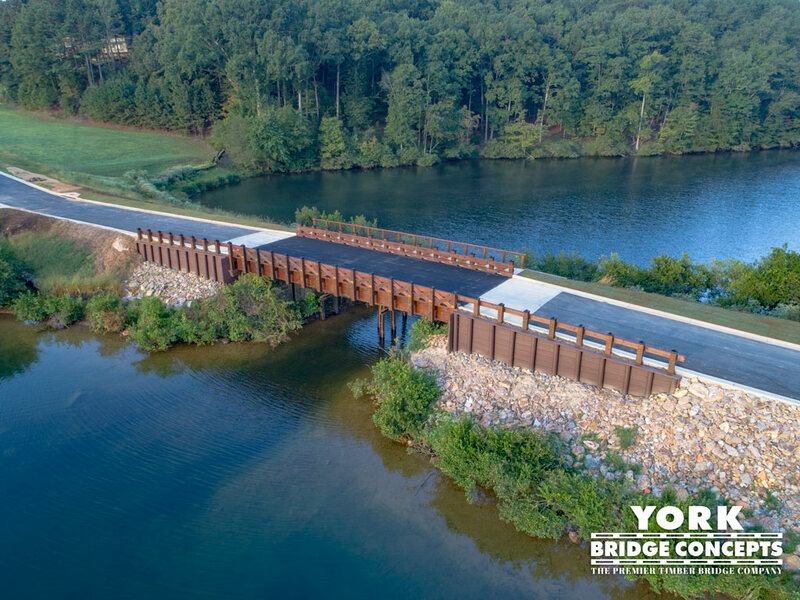 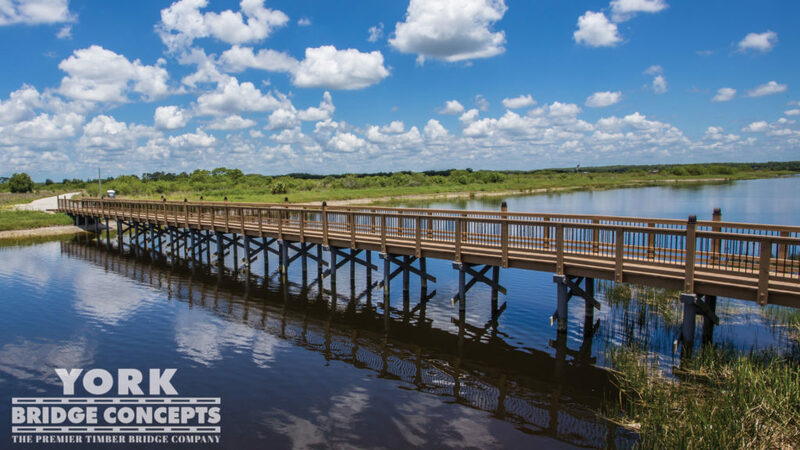 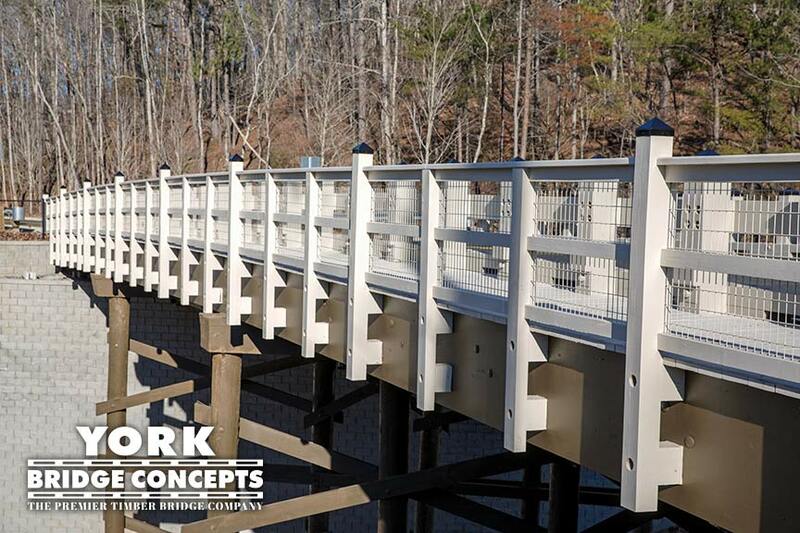 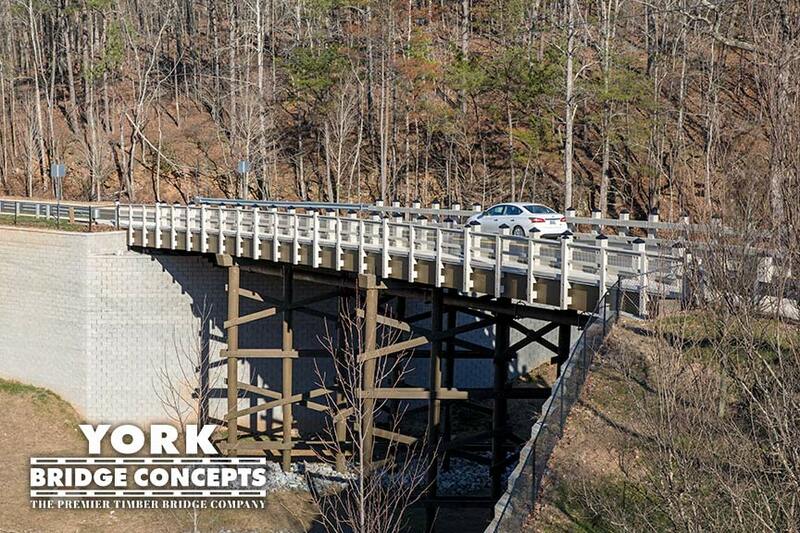 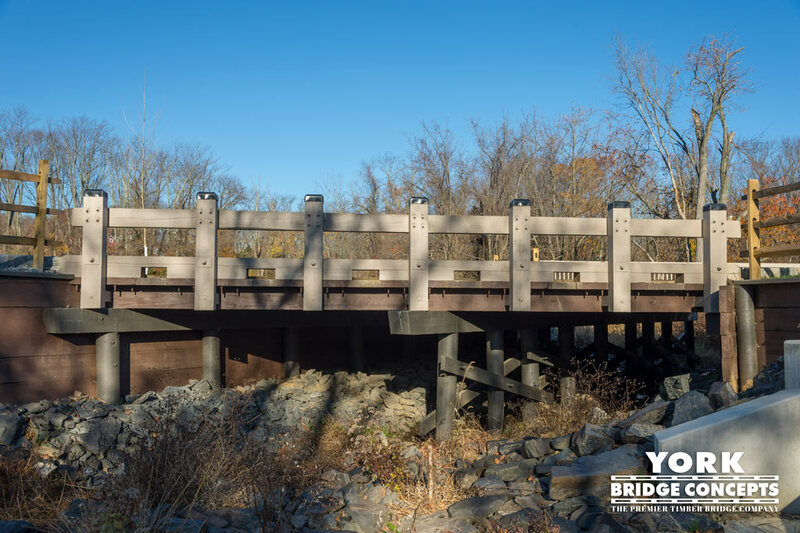 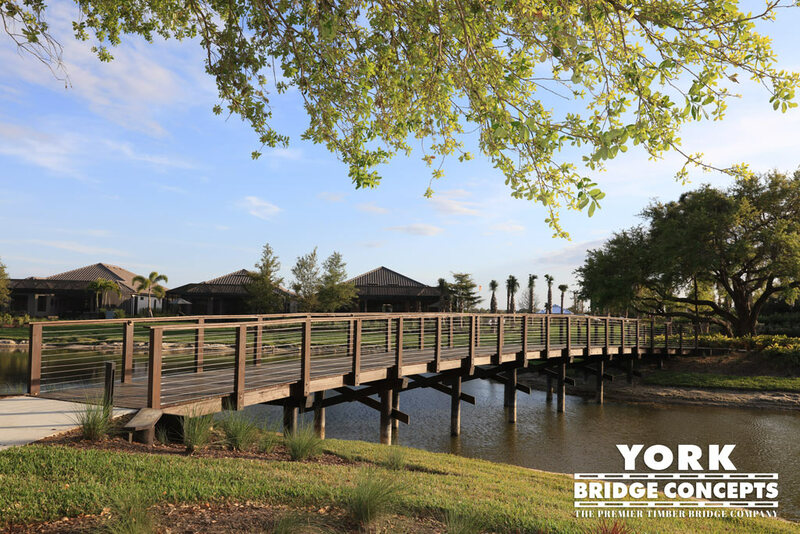 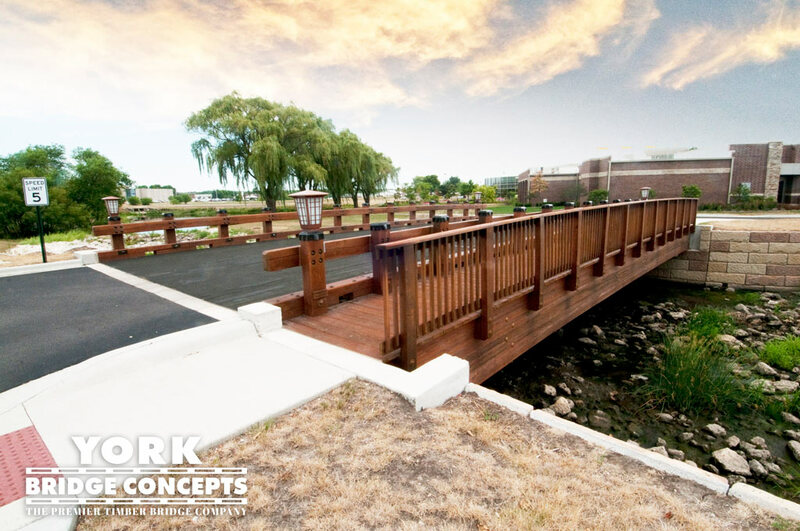 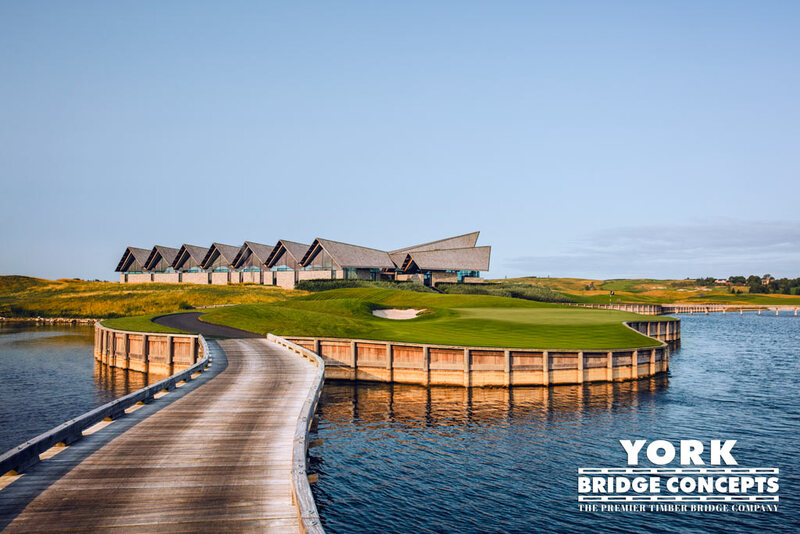 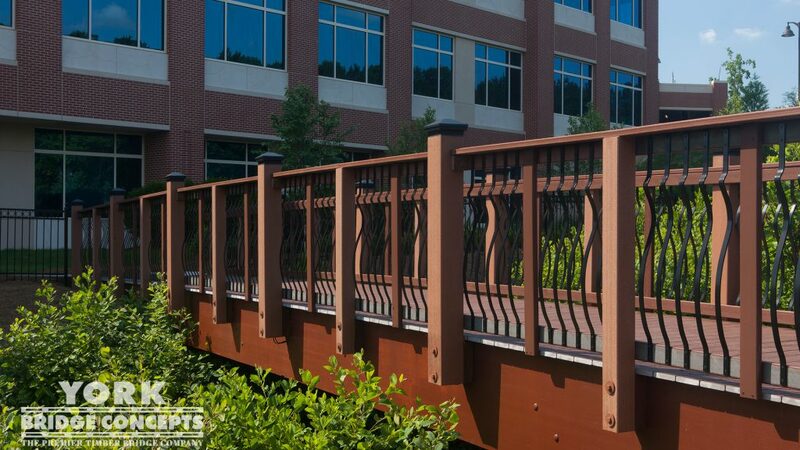 "After conducting my research, I discovered that York Bridge Concepts was the #1 timber bridge builder in the US. 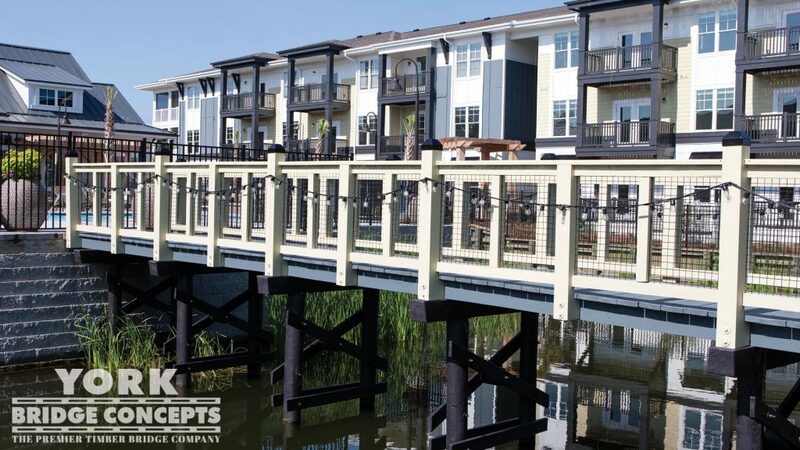 They had excellent references from contractors that I respect in the industry. 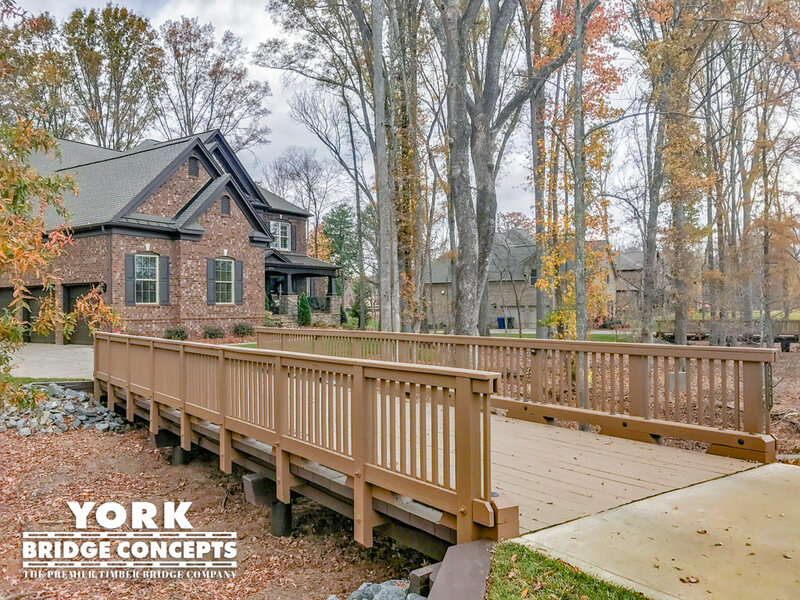 Also deck level construction was an important consideration because we needed to maintain an environment friendly surrounding. 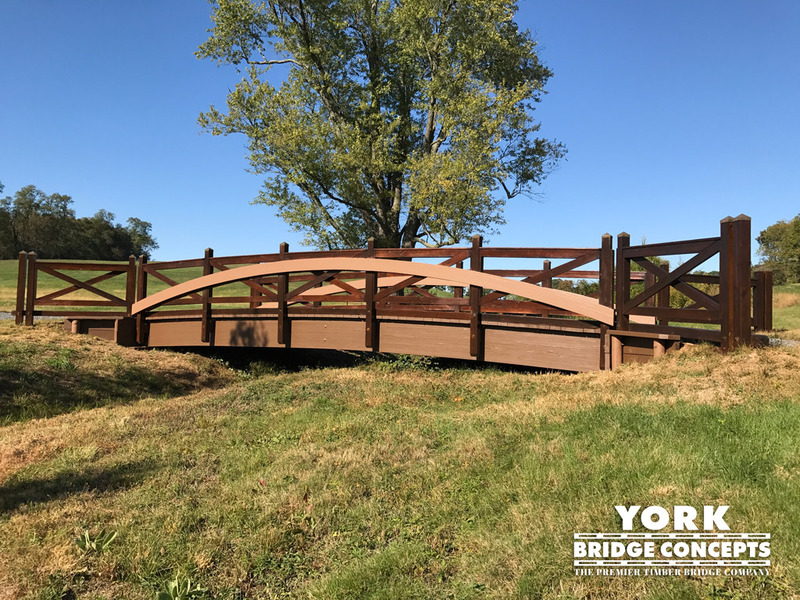 The field team was very accommodating and polite, and the on-site challenges were met with professionalism and resolved to my satisfaction. 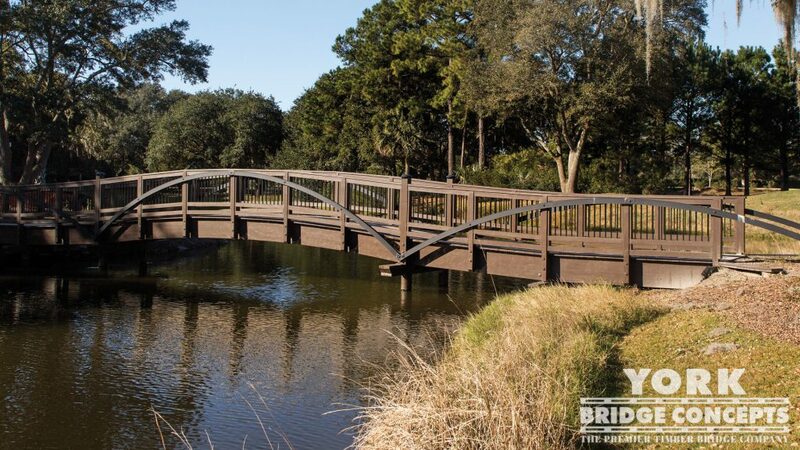 I love the way the free span section arches over the stream. 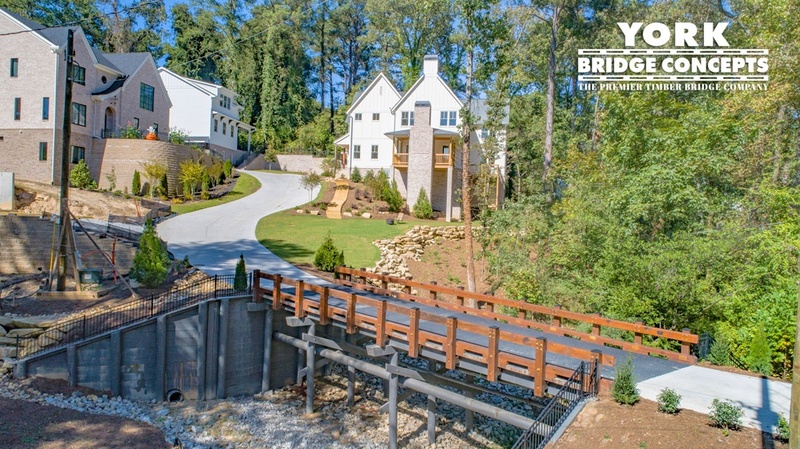 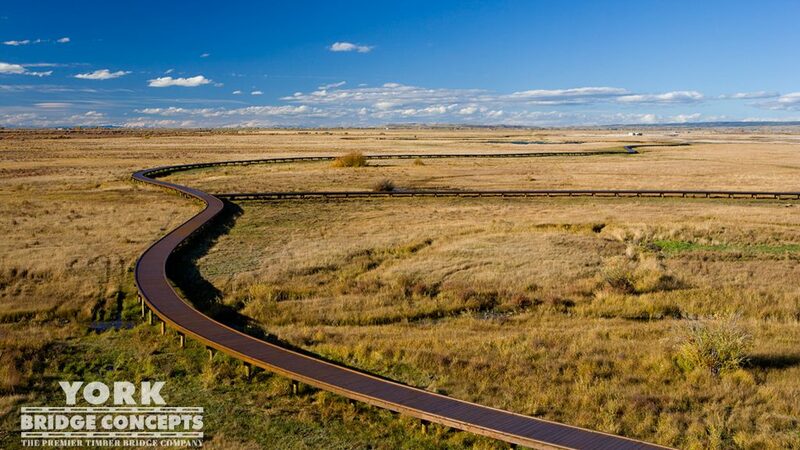 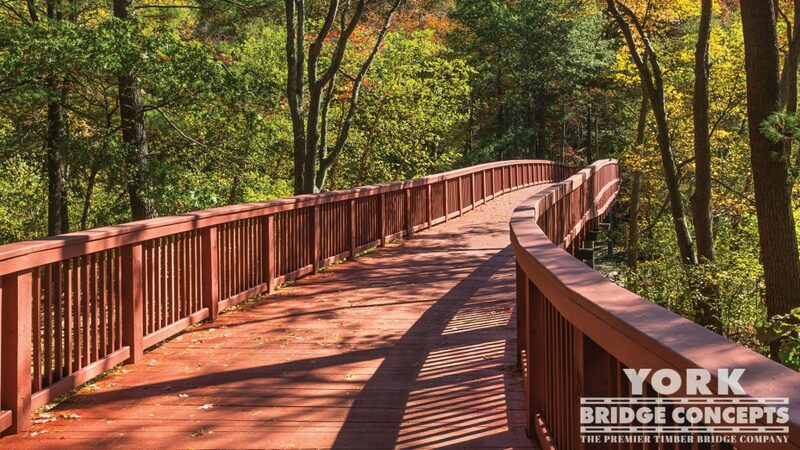 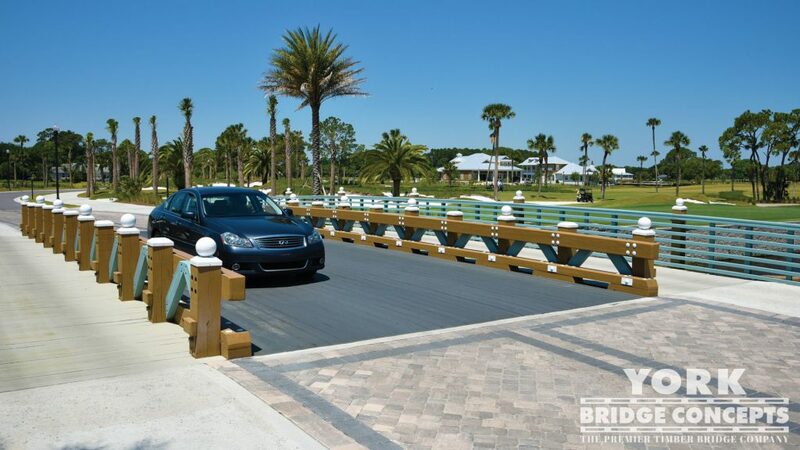 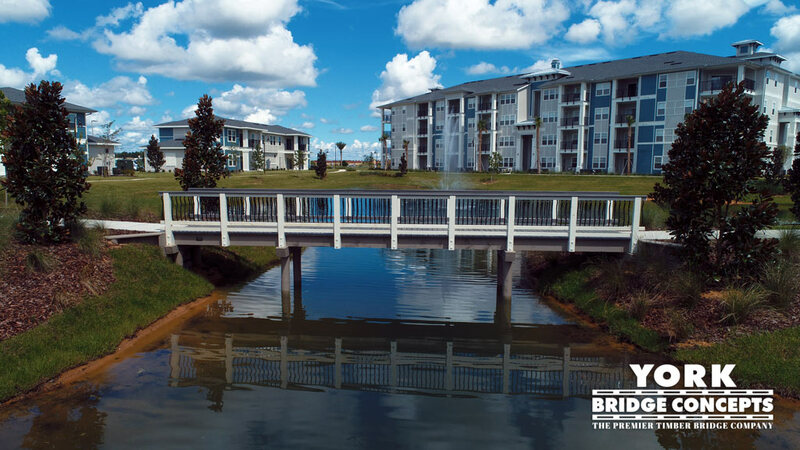 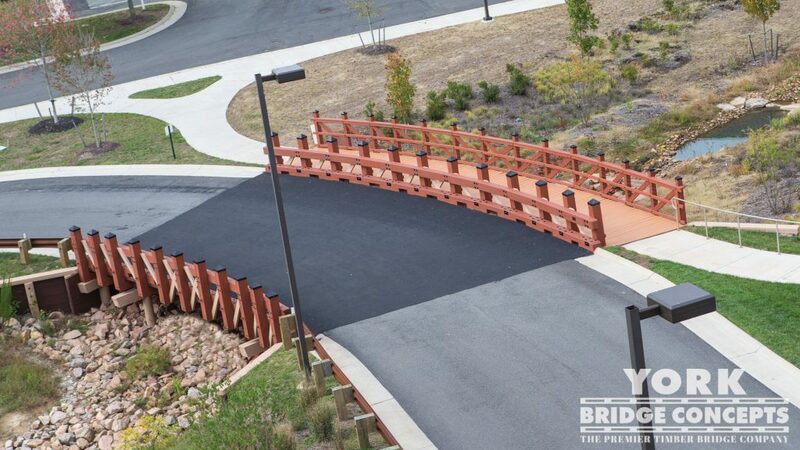 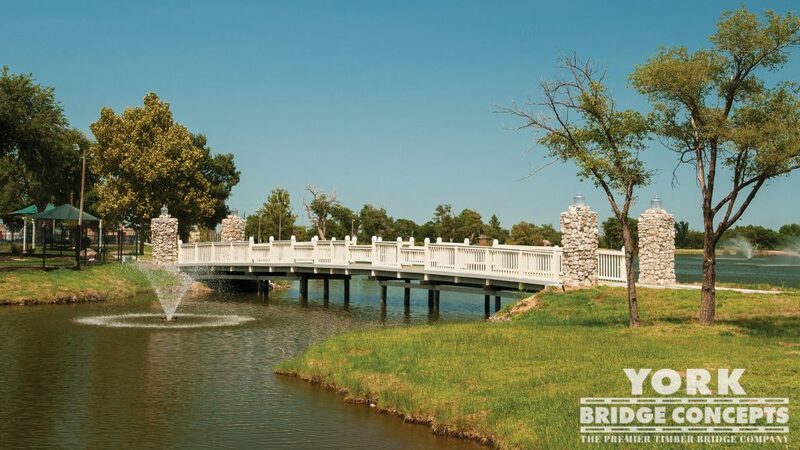 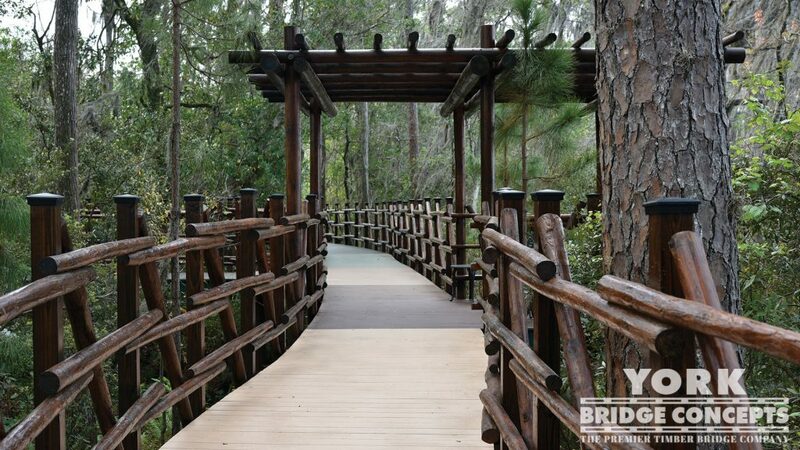 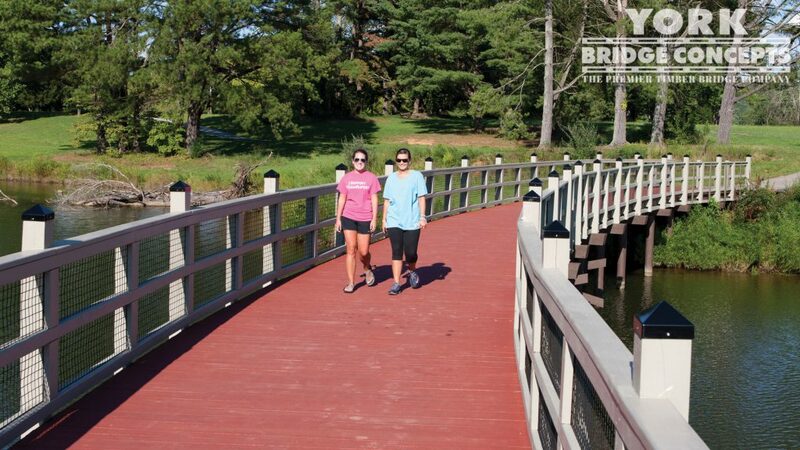 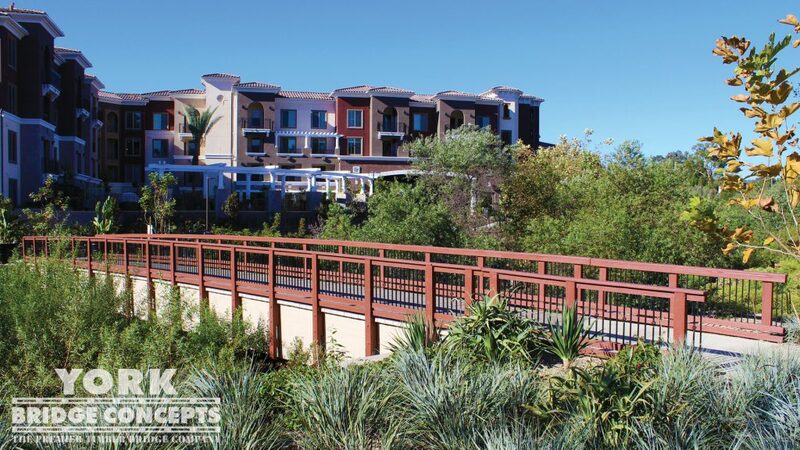 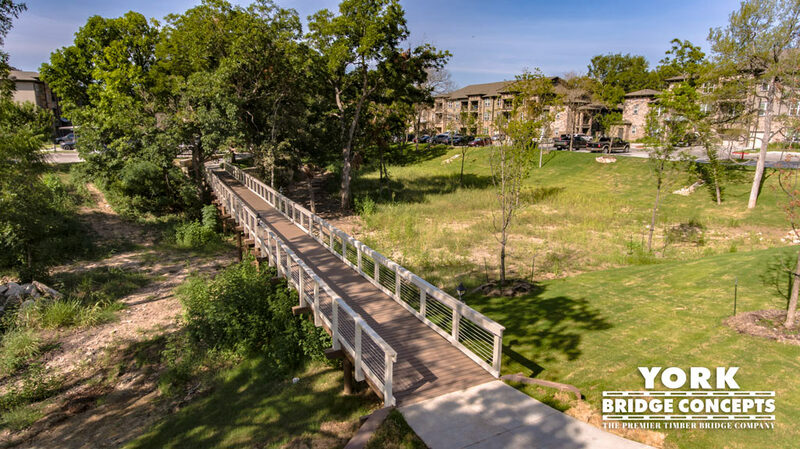 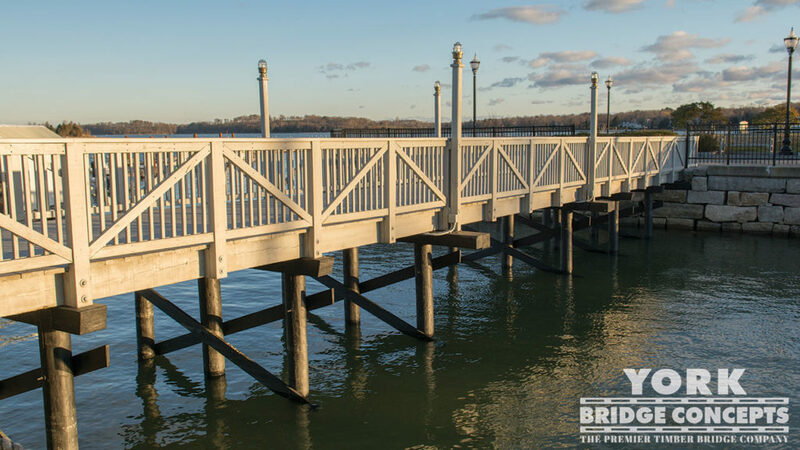 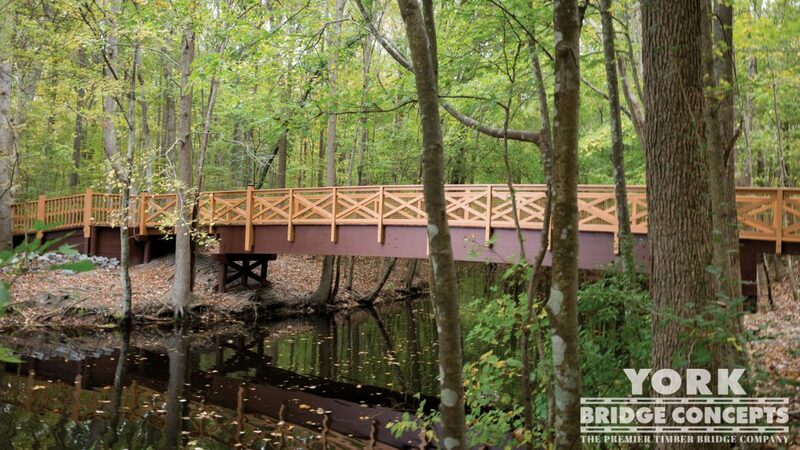 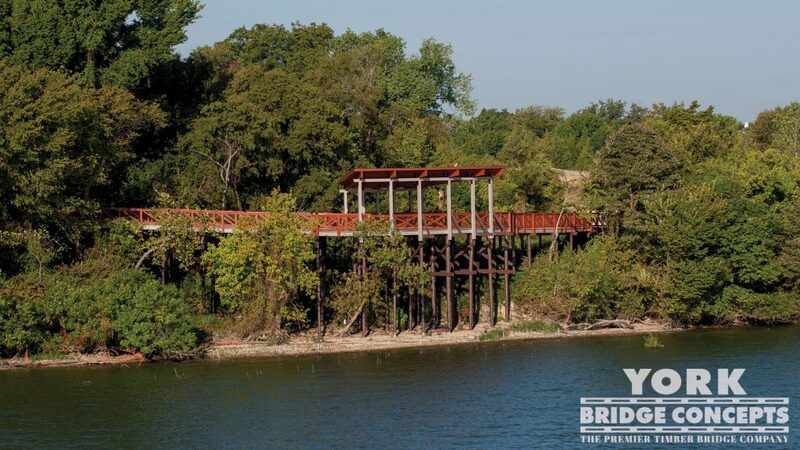 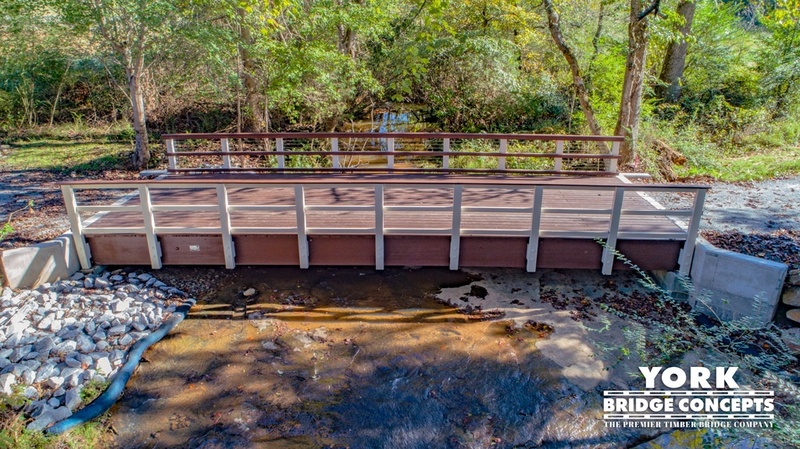 The bridge elegantly blends with the surrounding environment. 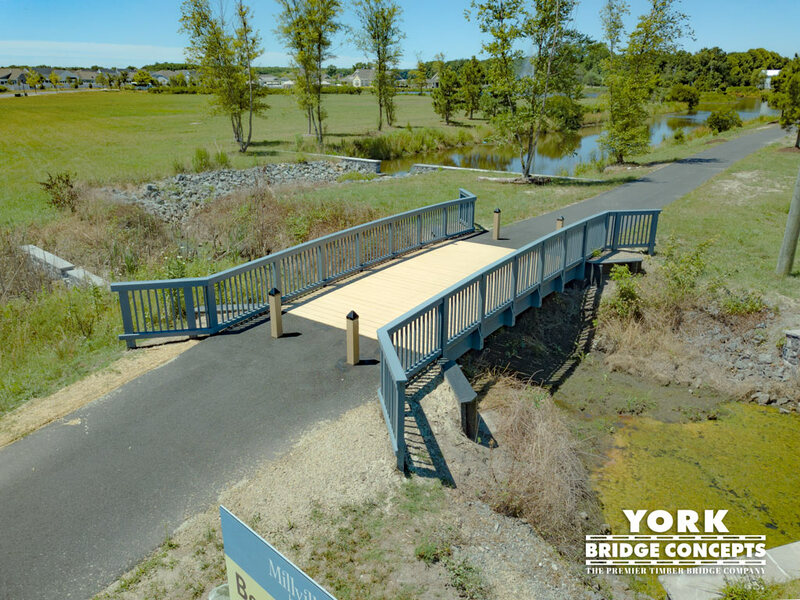 I’m glad I chose the York Bridge Services option for protection and enhanced aesthetics. 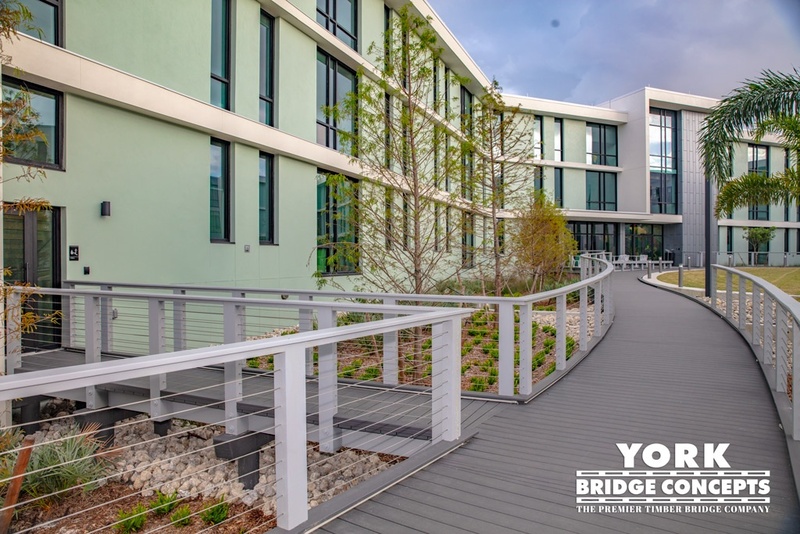 The color palette complements the convention center nicely."